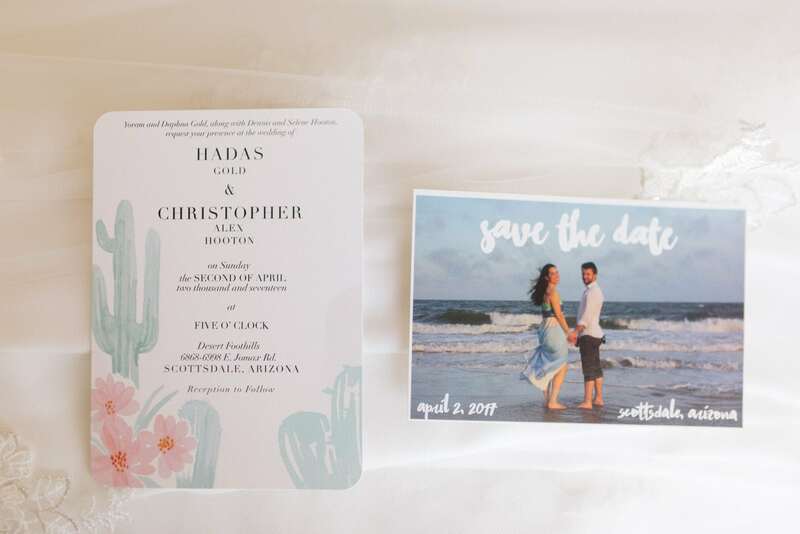 Hadas & Chris are a power couple in the truest sense. 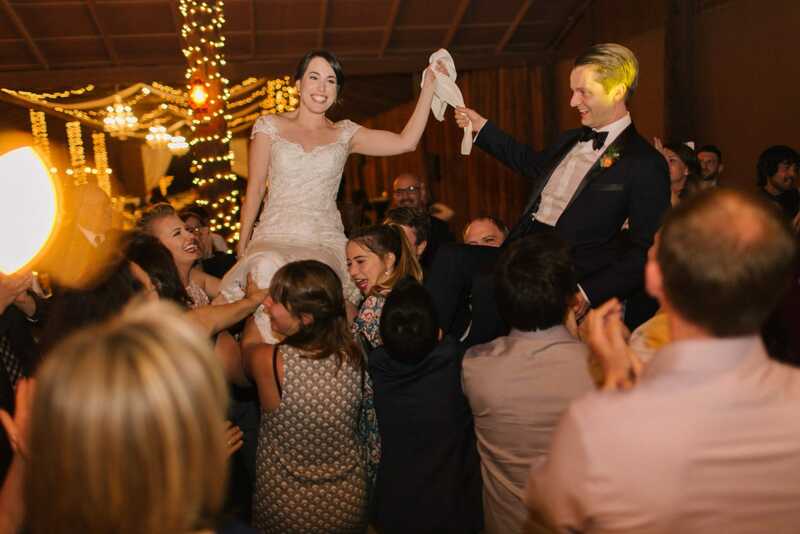 Hadas is a Politico & Chris is a chief economist at the Internet Association in Washington DC and their engagement announcement was published in the New York Times on their wedding day- how cool is that? 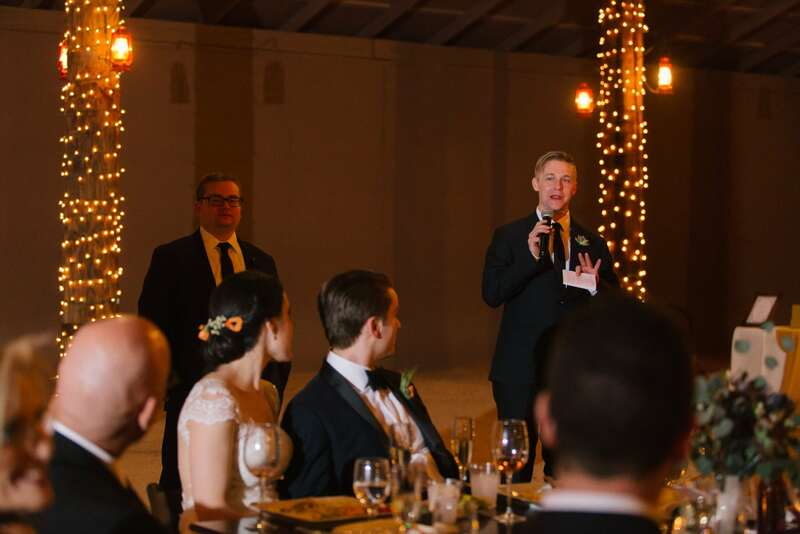 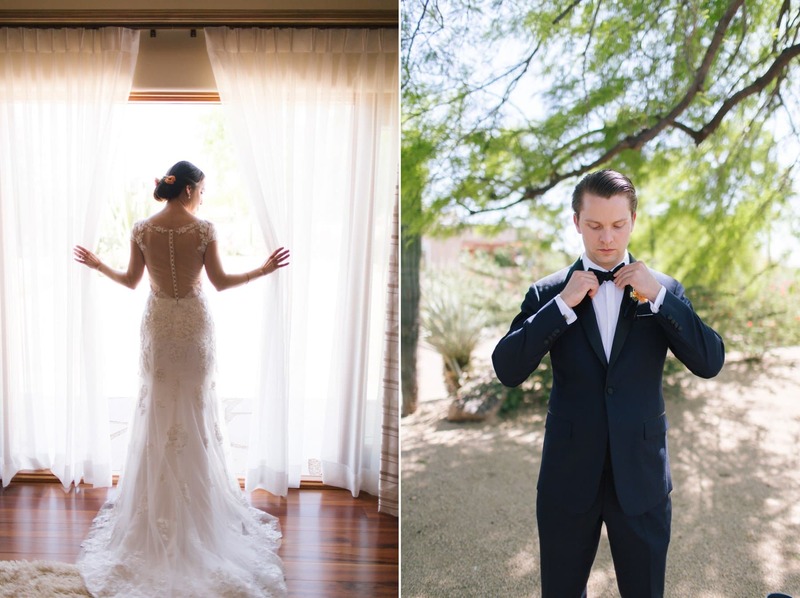 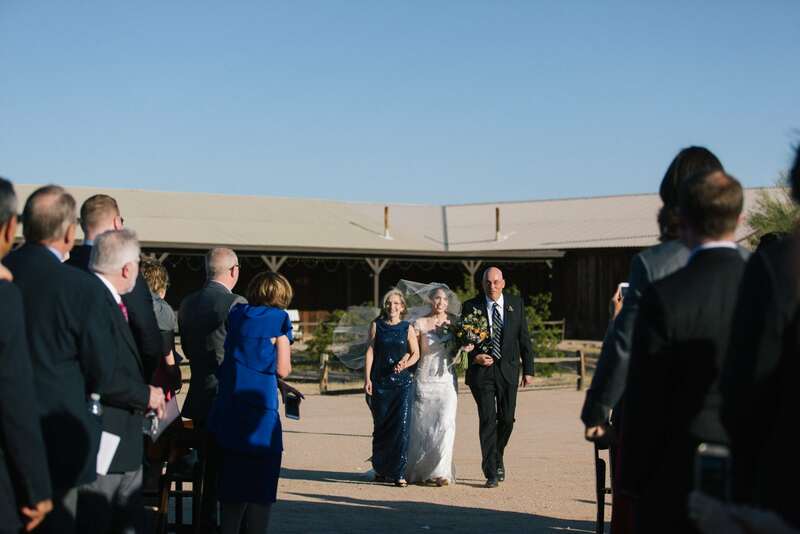 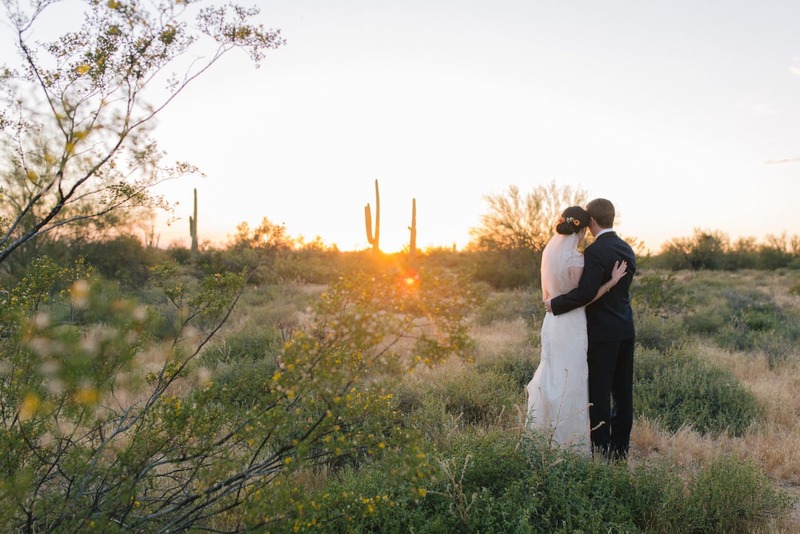 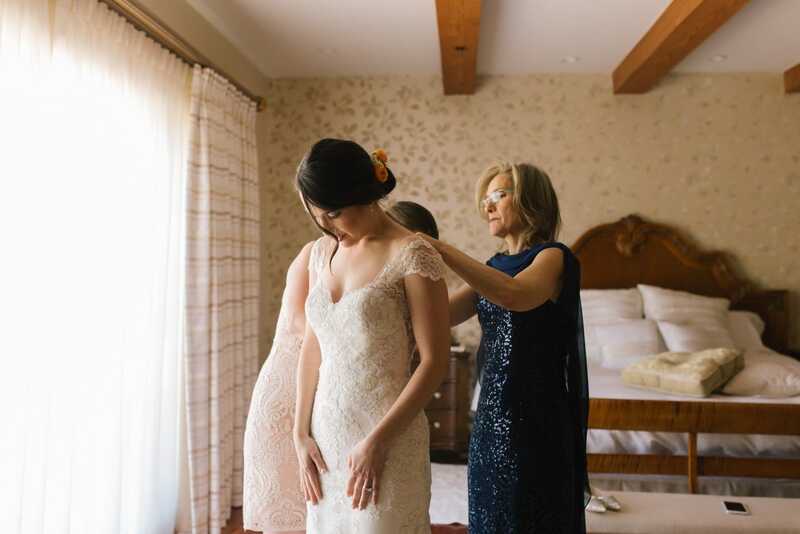 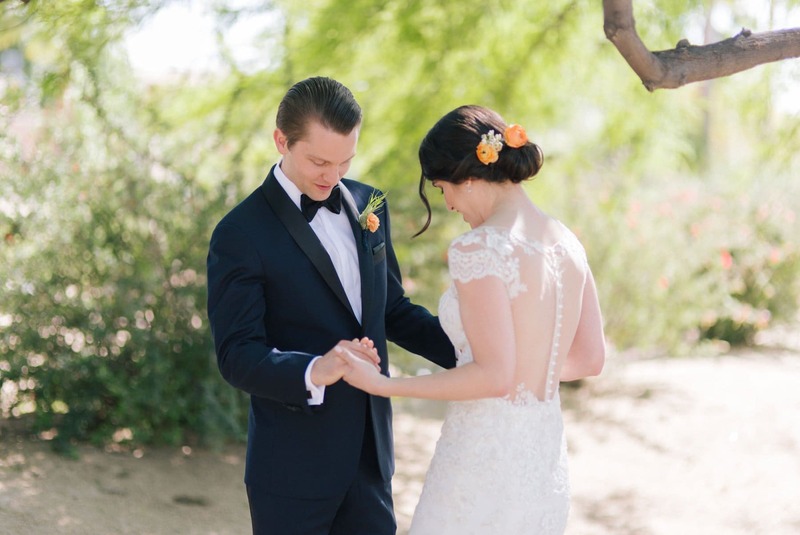 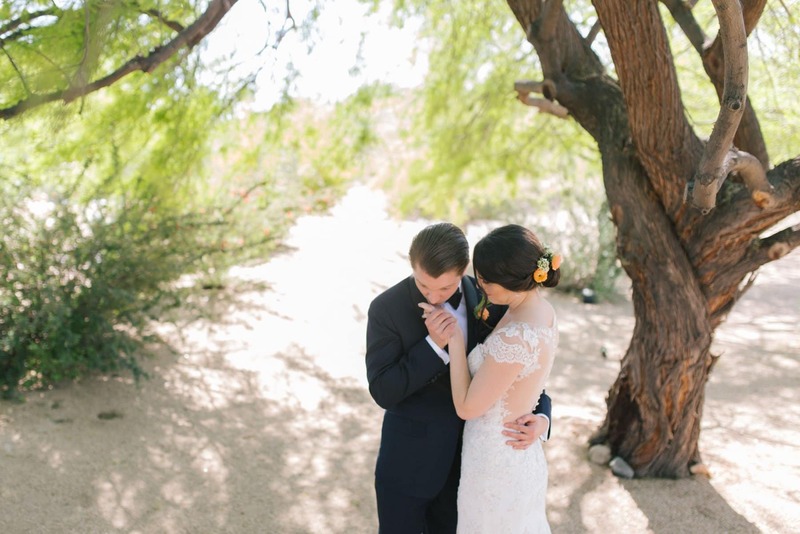 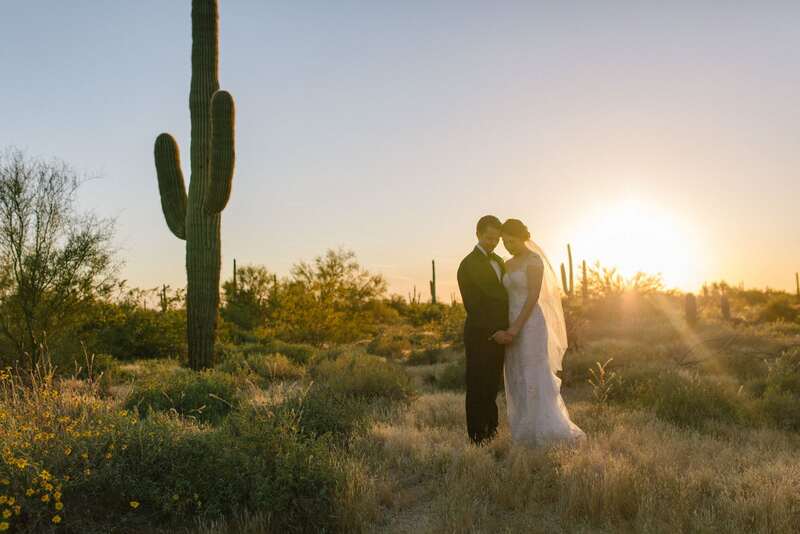 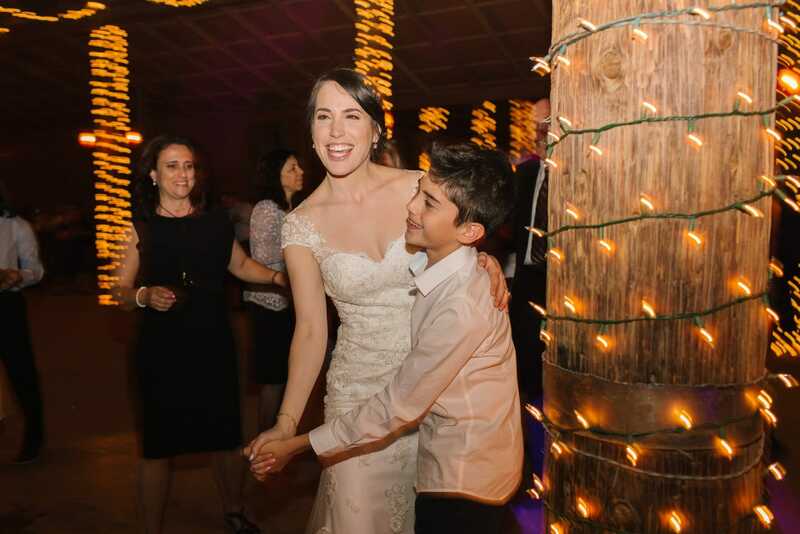 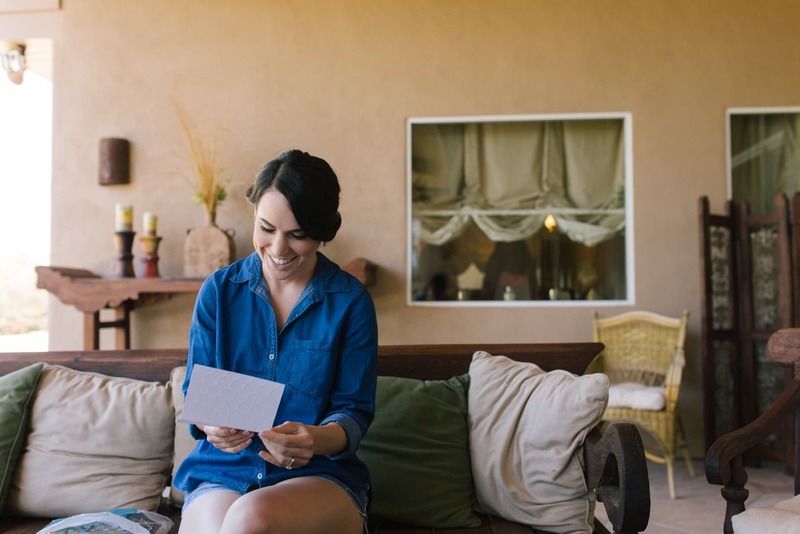 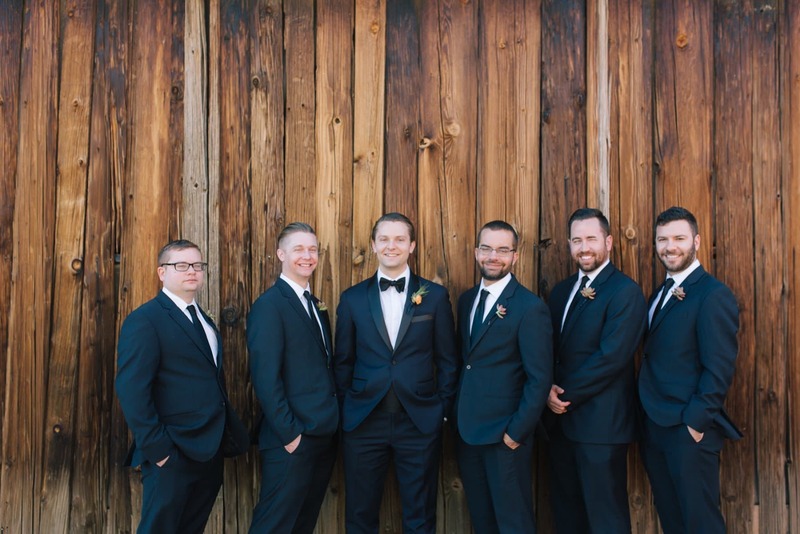 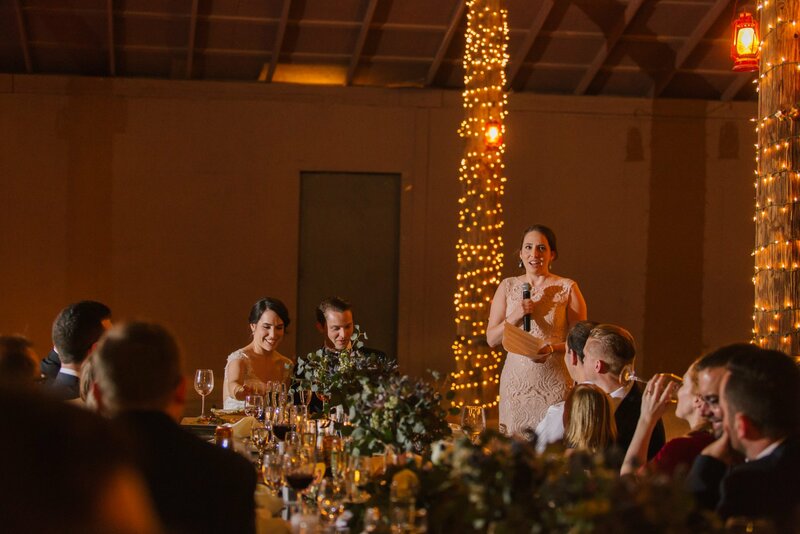 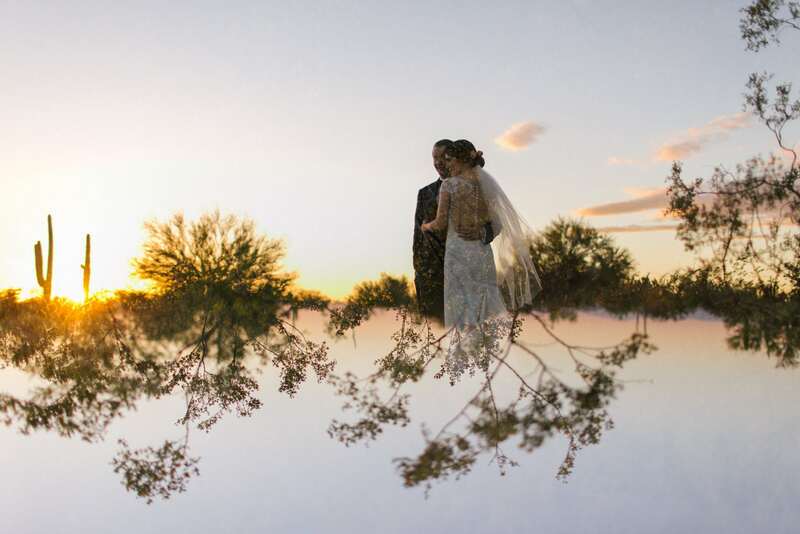 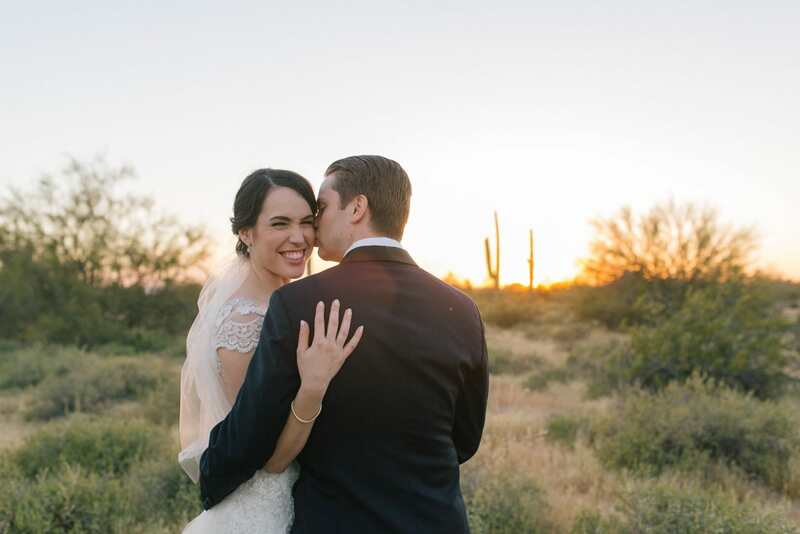 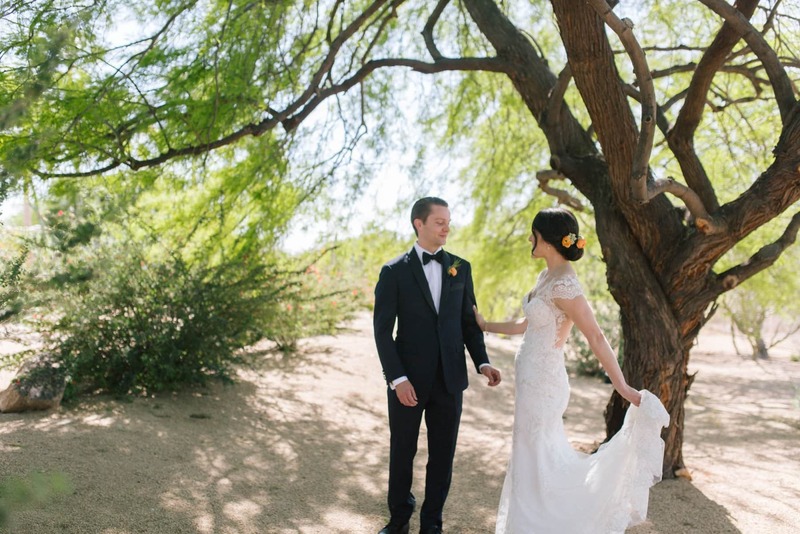 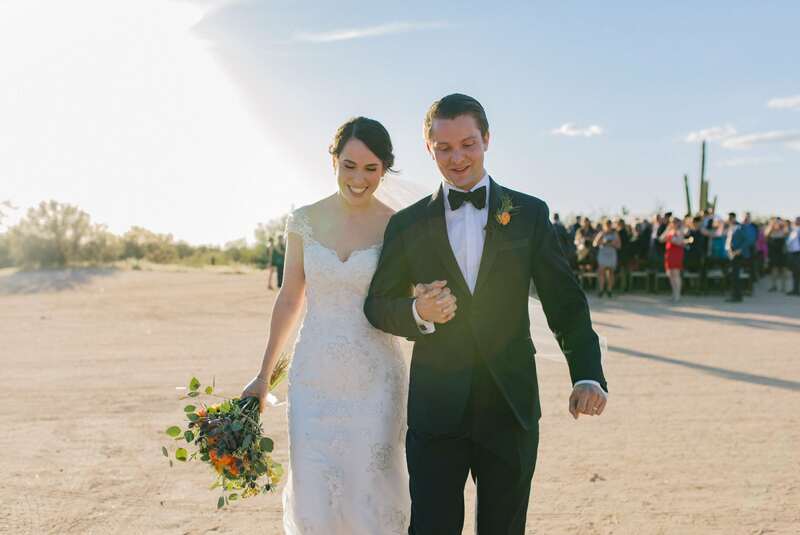 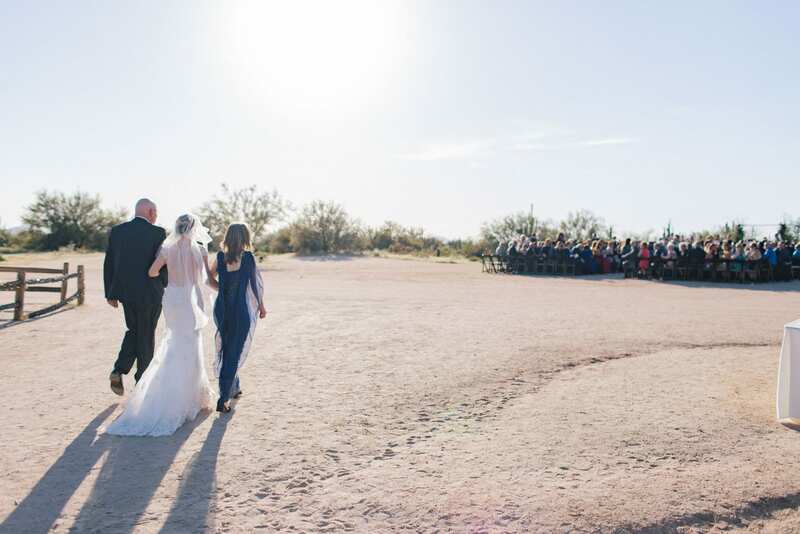 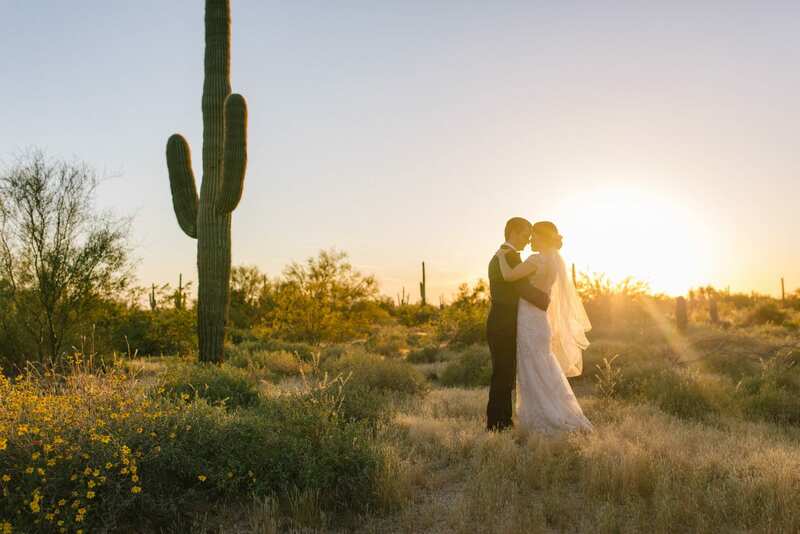 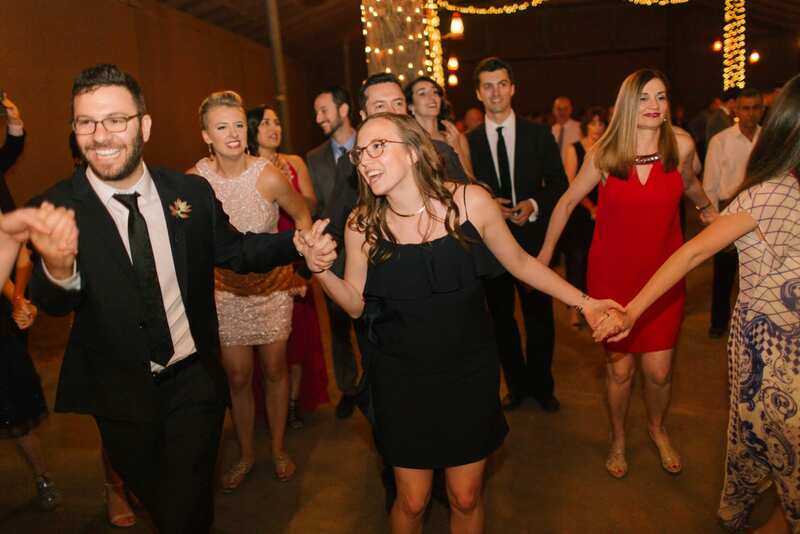 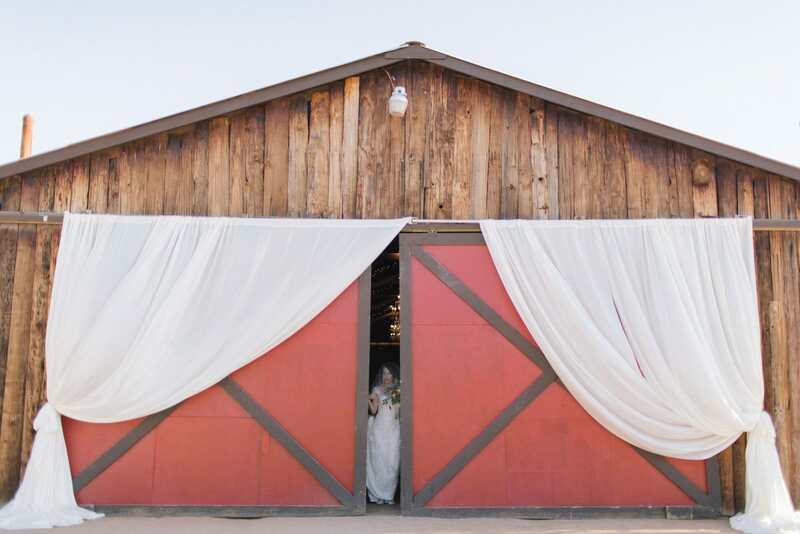 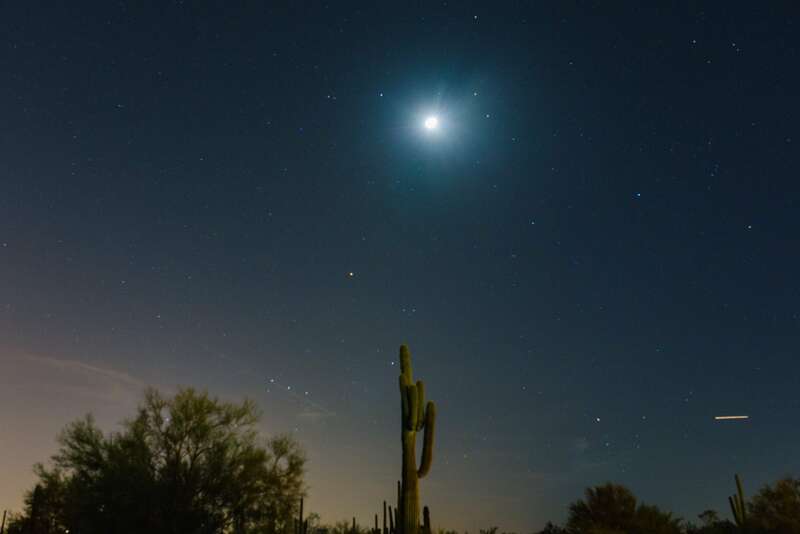 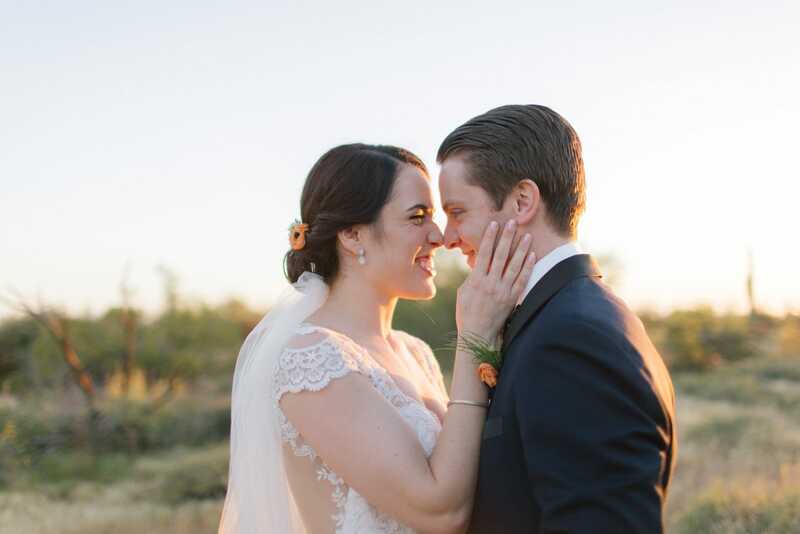 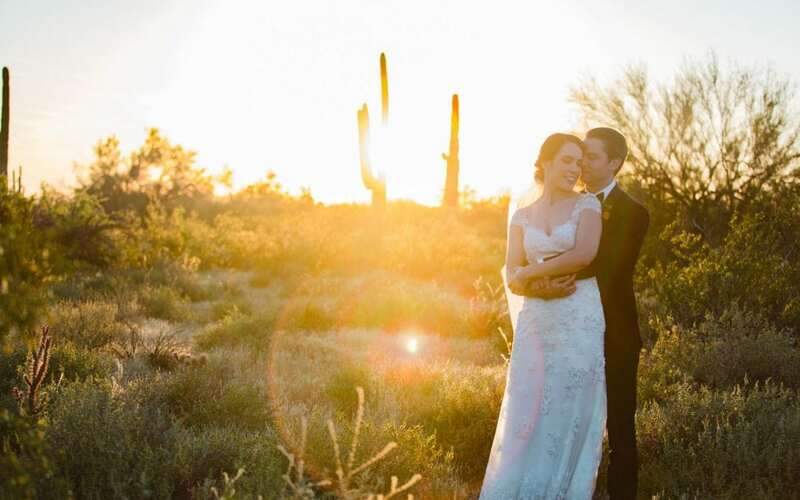 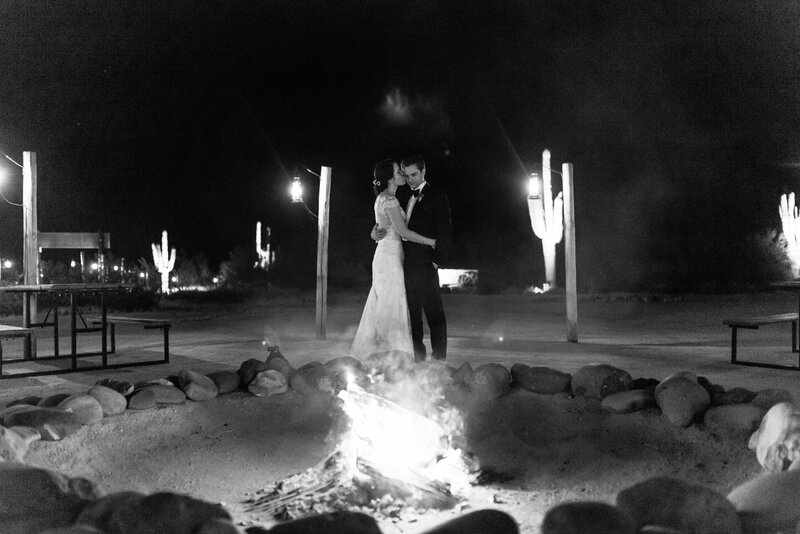 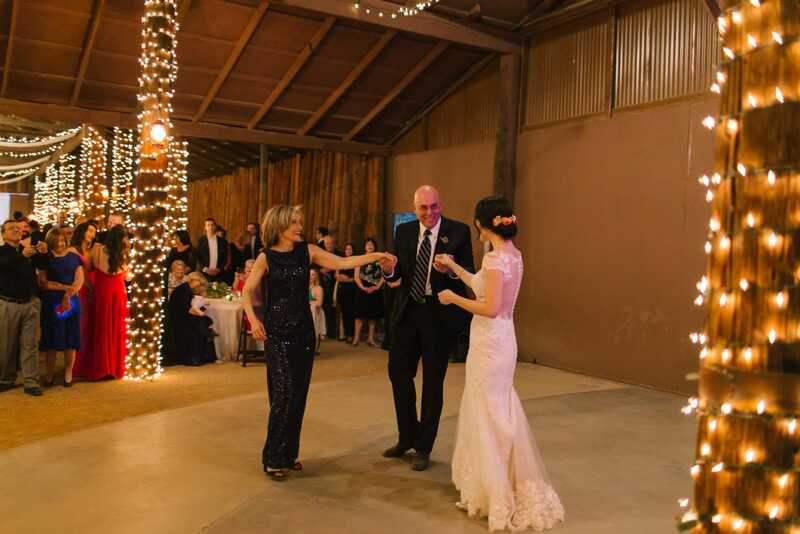 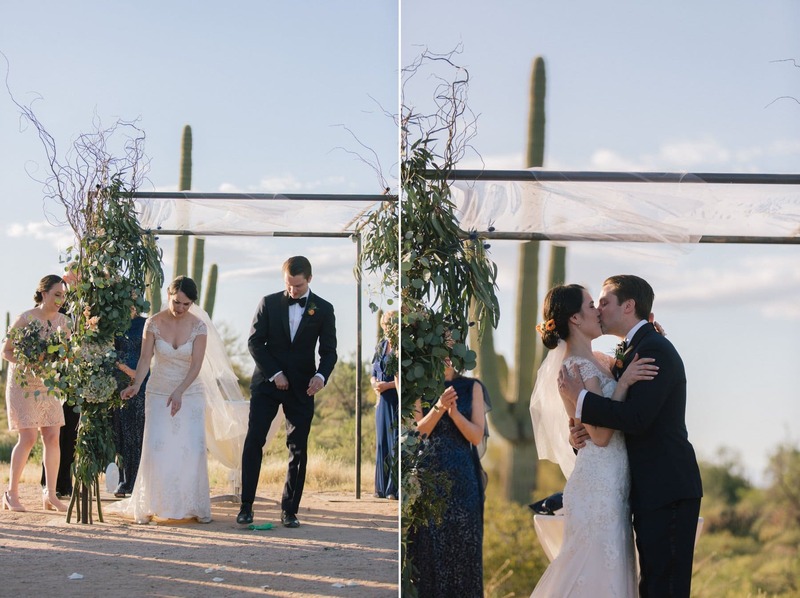 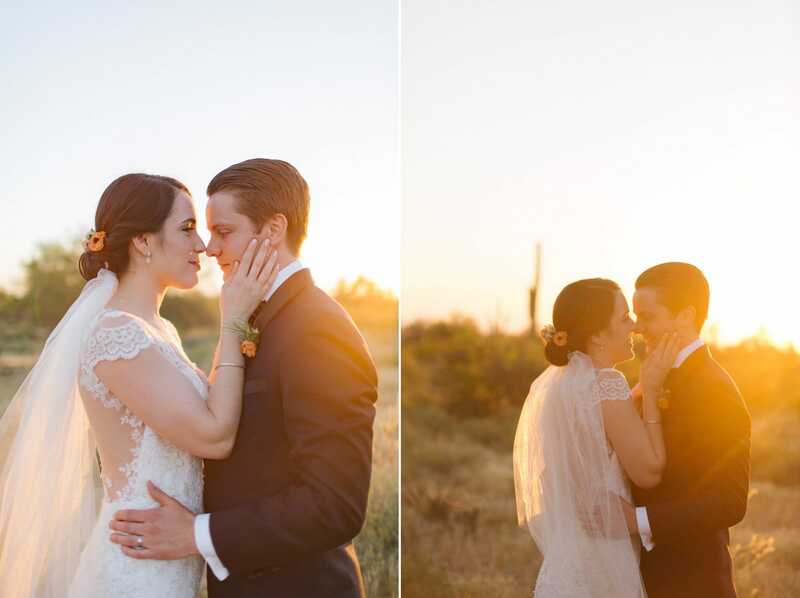 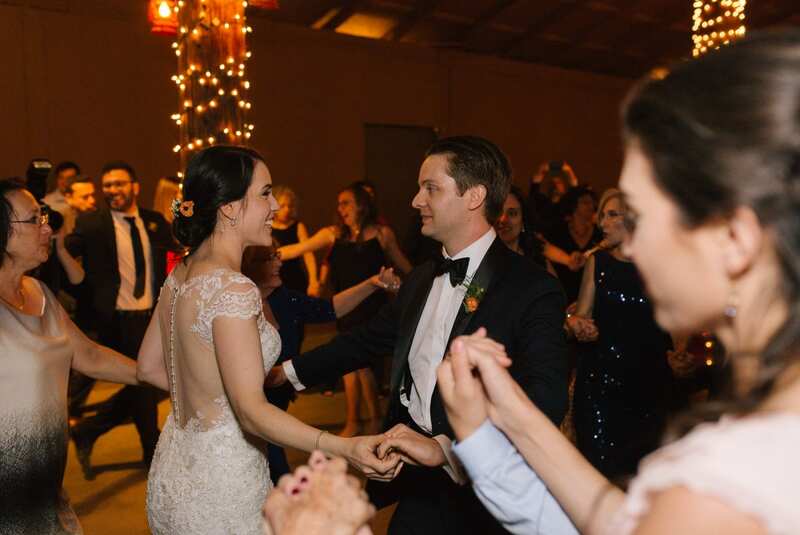 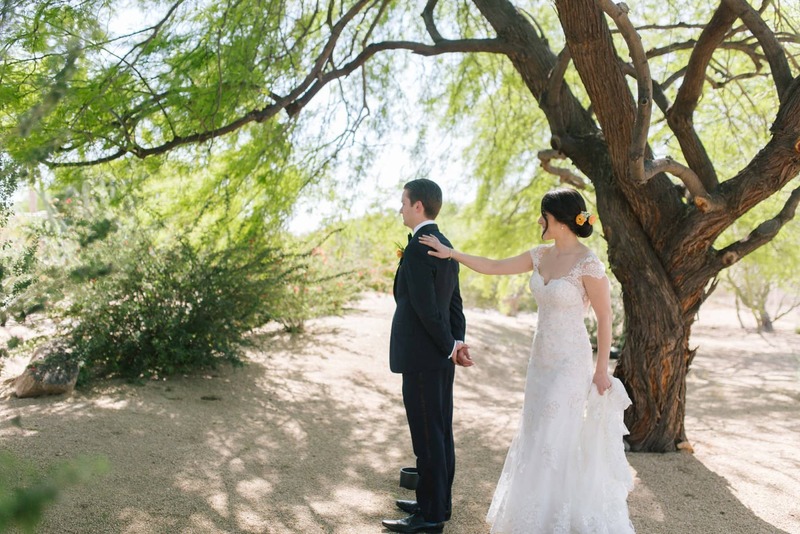 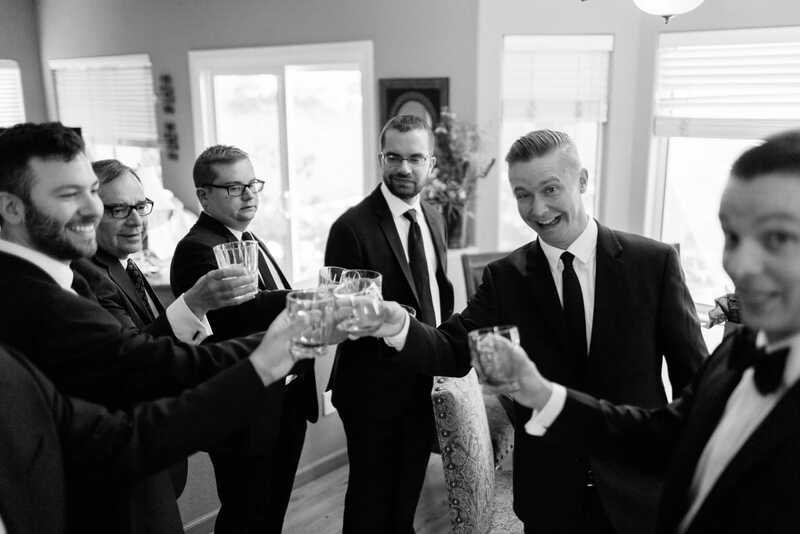 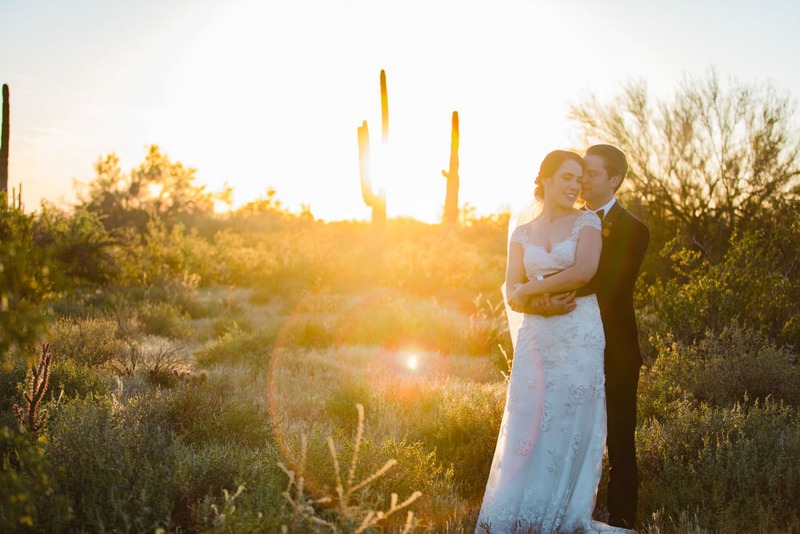 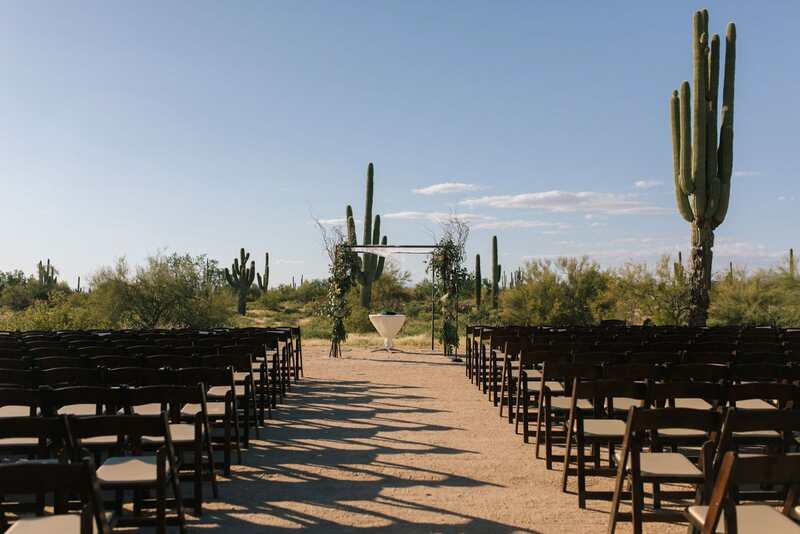 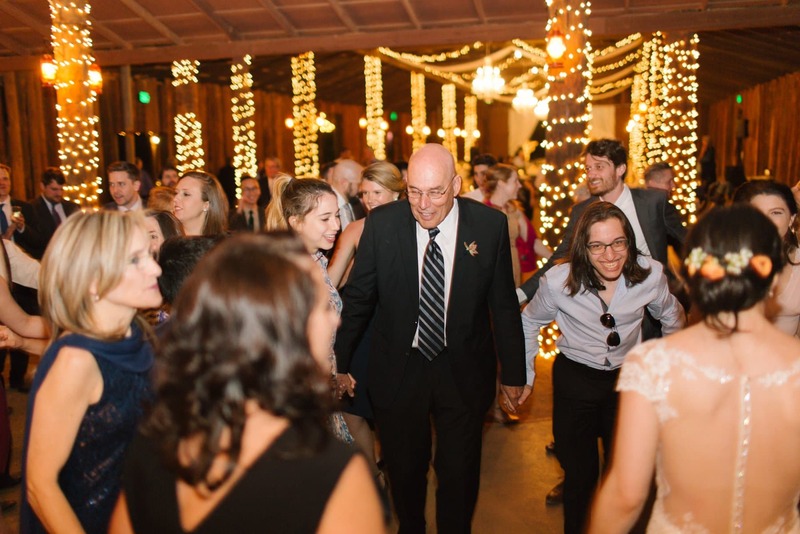 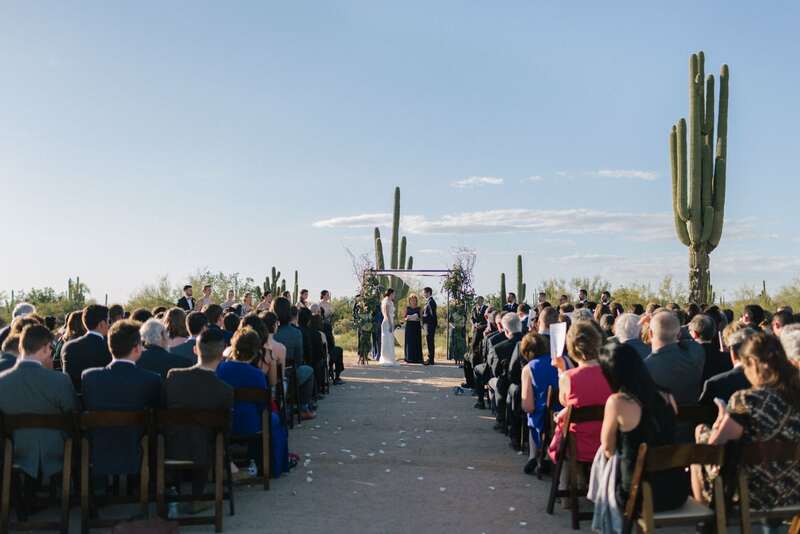 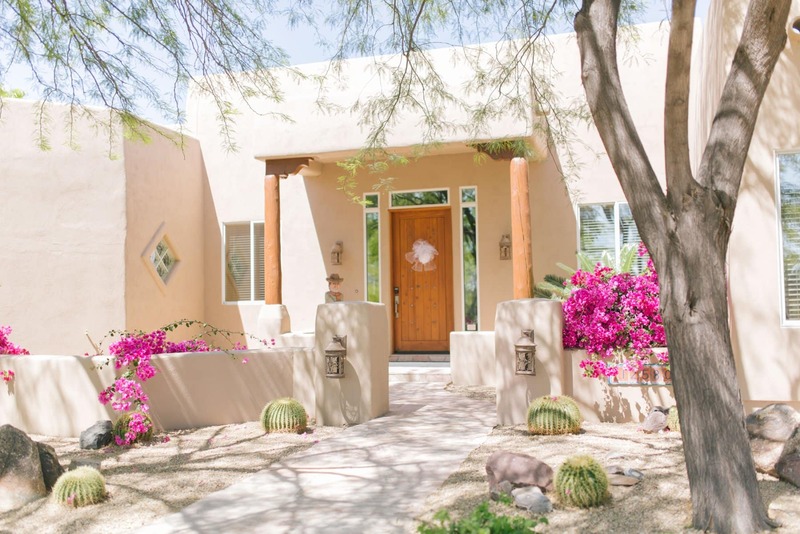 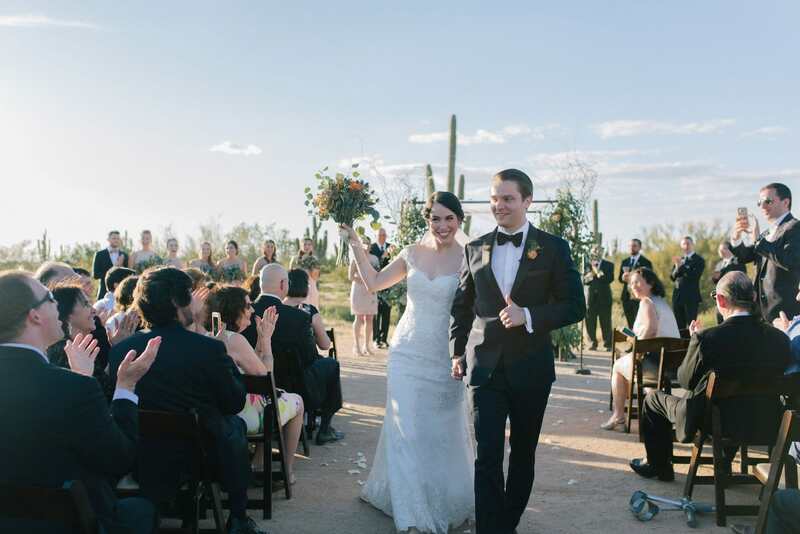 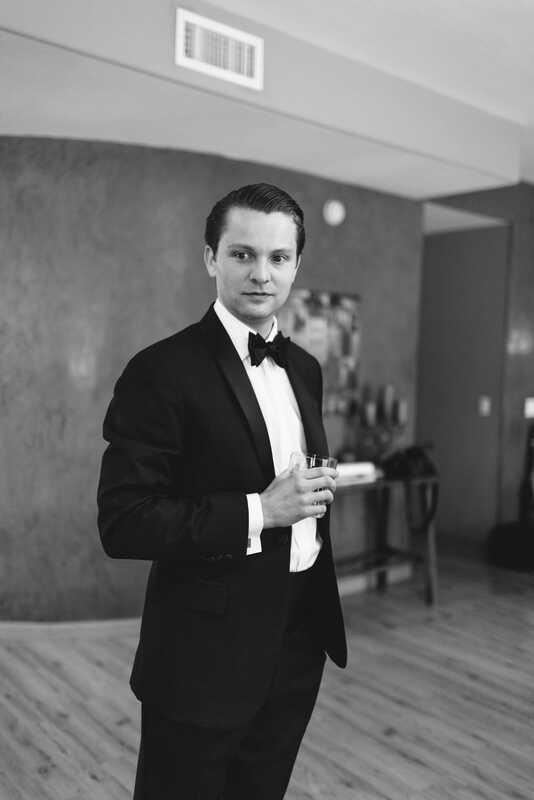 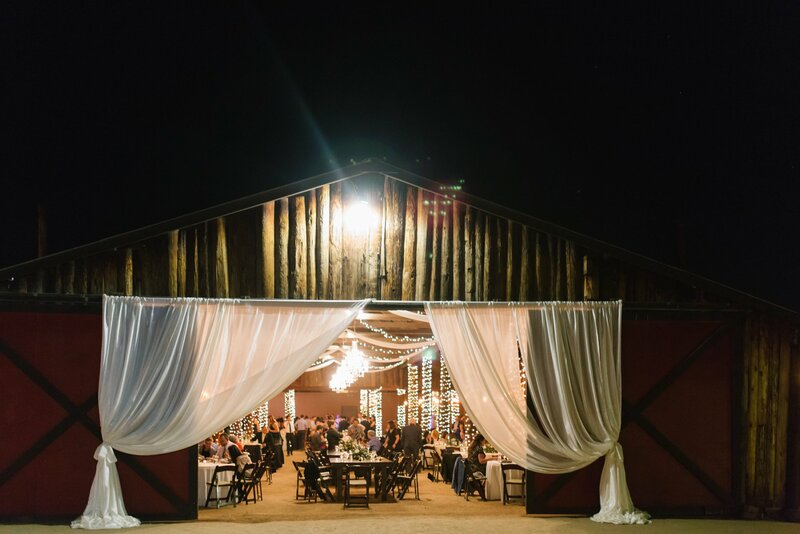 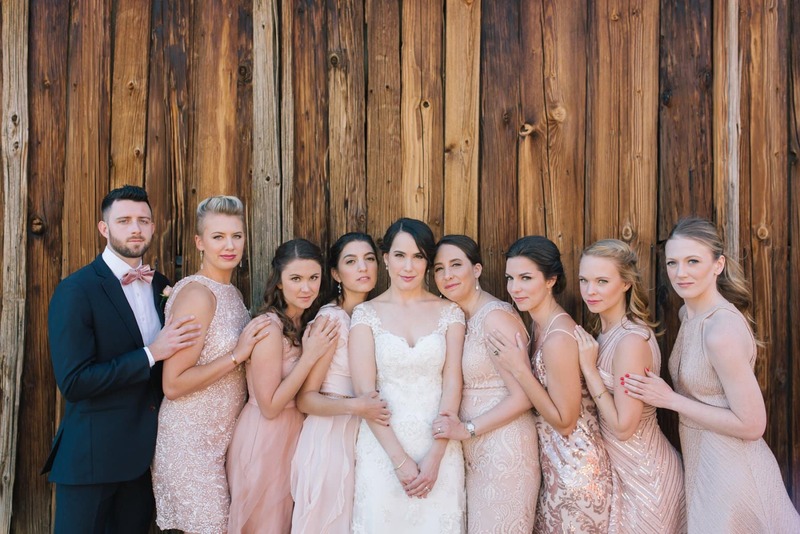 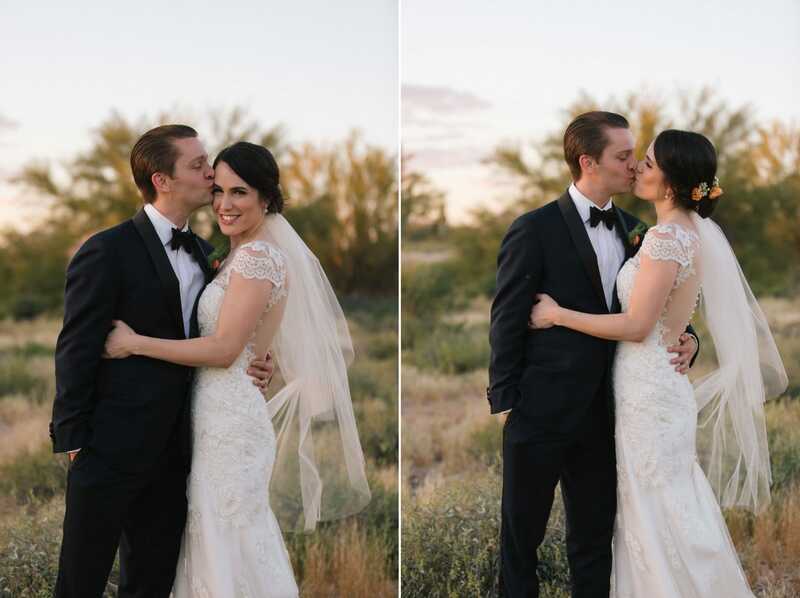 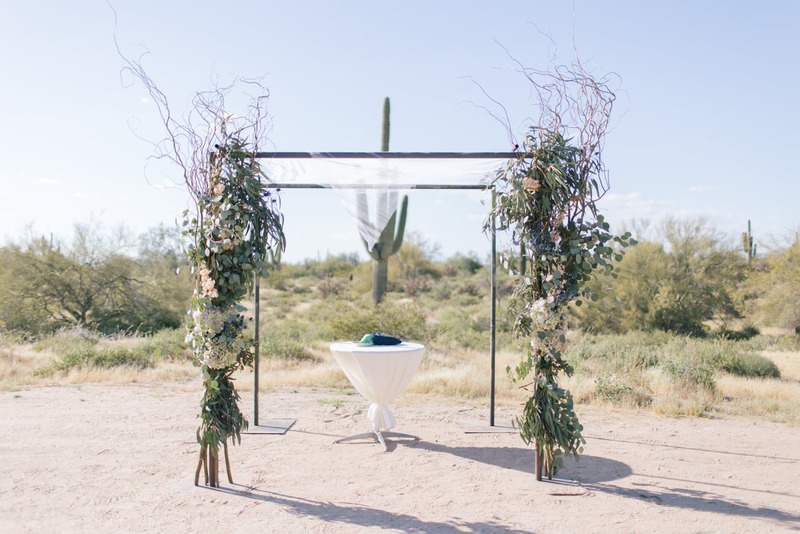 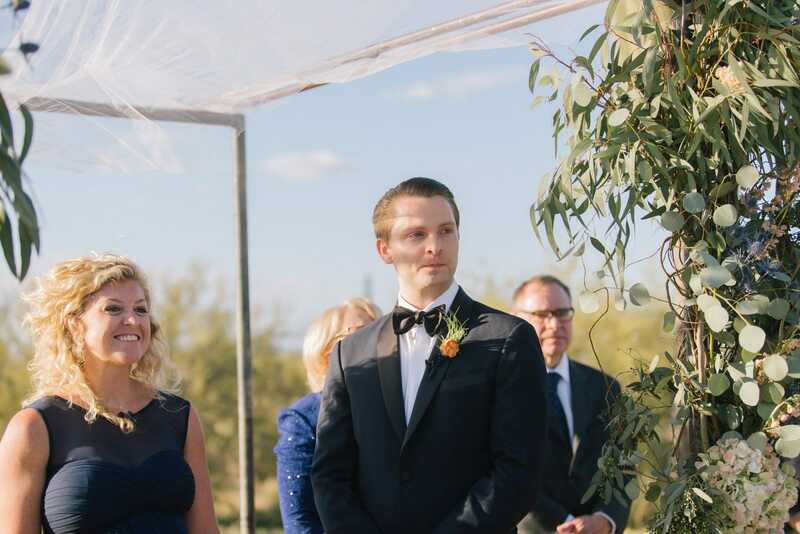 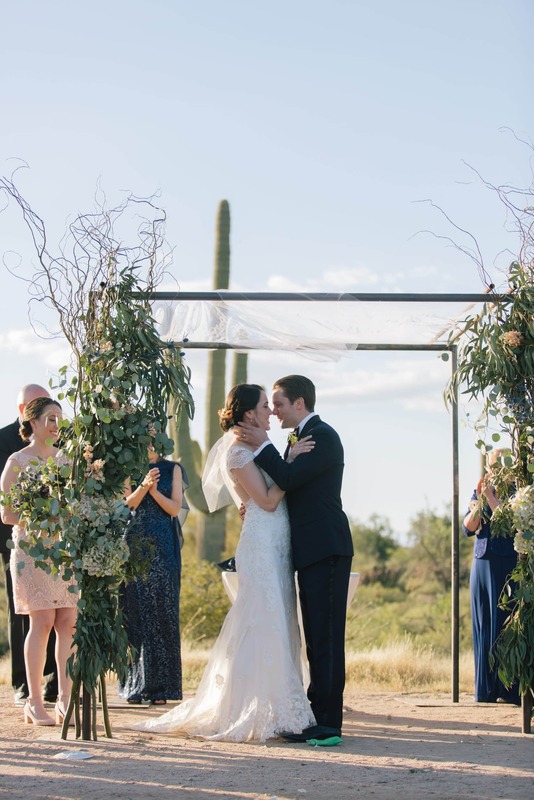 They chose to get married in the beautiful desert around Desert Foothills, a rustic barn in Scottsdale, surrounded by people from all over the country and world, a testament to how amazing their tribe and they are as humans. 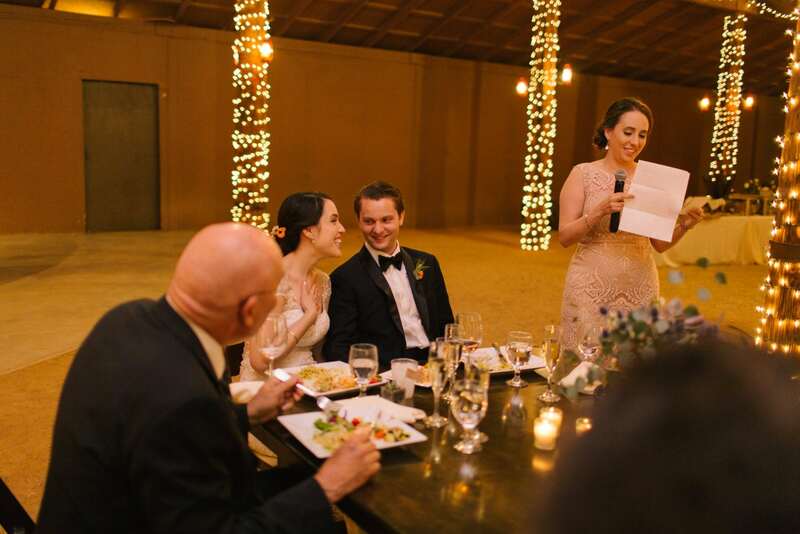 I think they said they had 7 different countries present for the wedding including Australia and Israel! 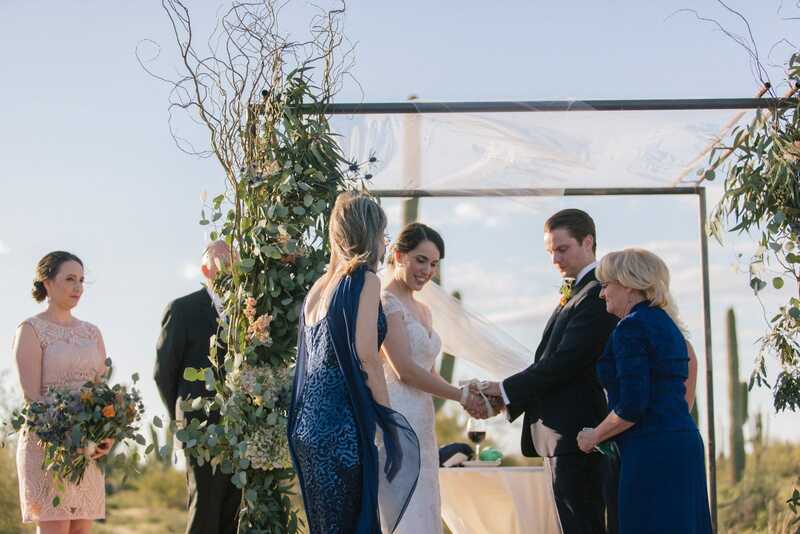 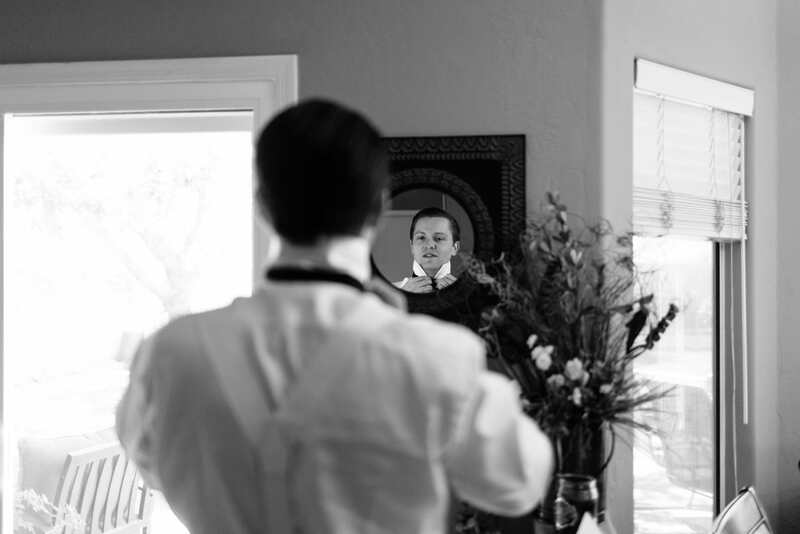 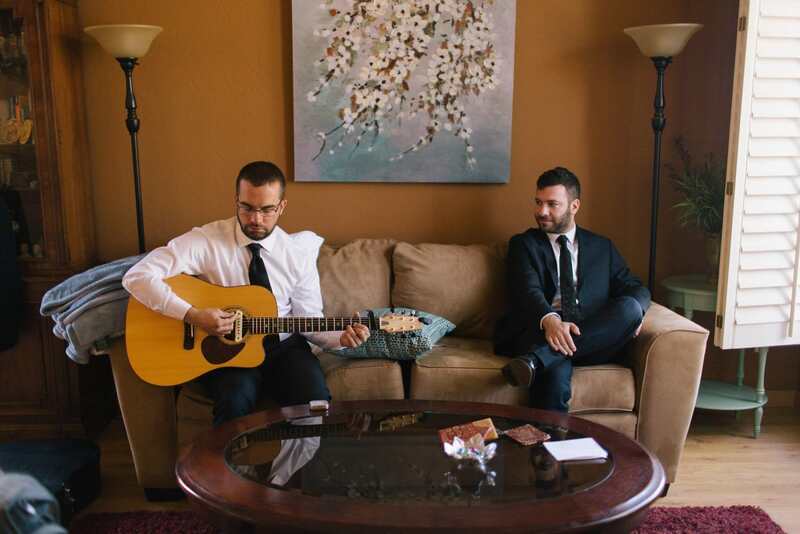 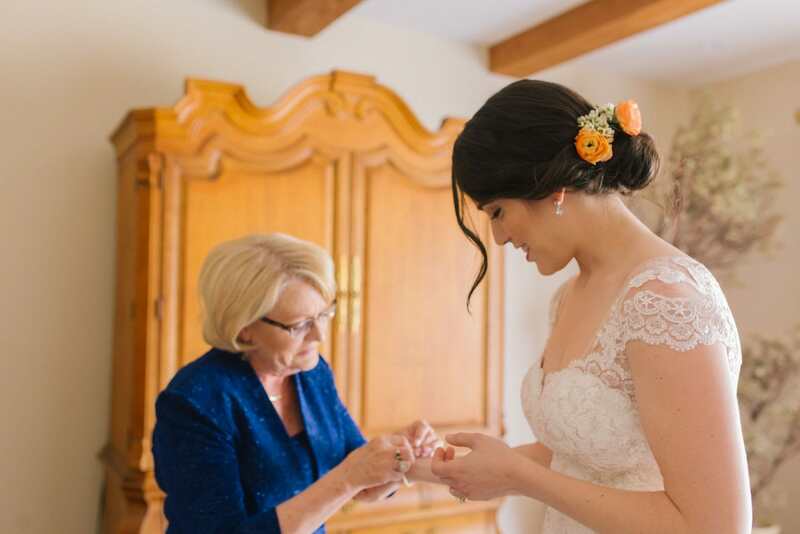 They had a fusion wedding of Jewish, Irish & Slovakian traditions- the chuppah, friends & family standing & the seven blessings, an Irish handfasting, and the Czech breaking of the plate, and the Horah. 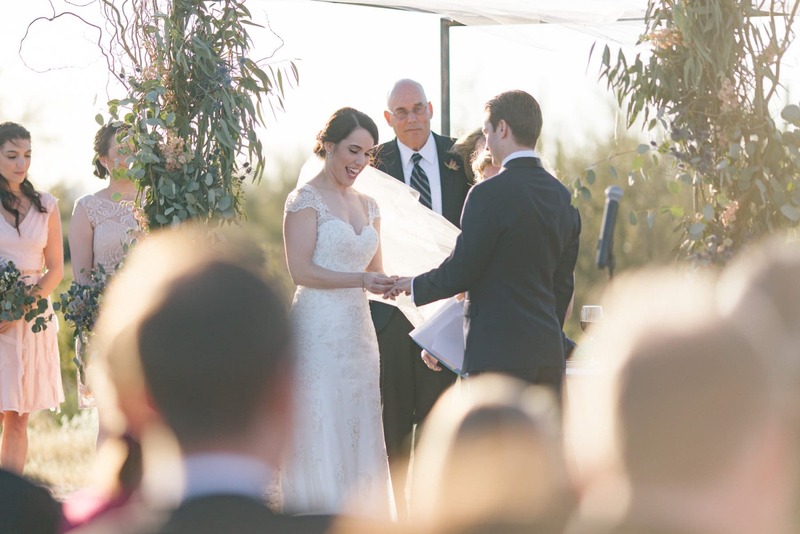 Hadas & Chris had a good friend officiate their ceremony which was lighthearted but serious and reverent and of course as a couple fairly used to being in the limelight, they wrote their own vows which were some of the most excellently written and delivered vows I’ve heard- besides my husband’s, of course! 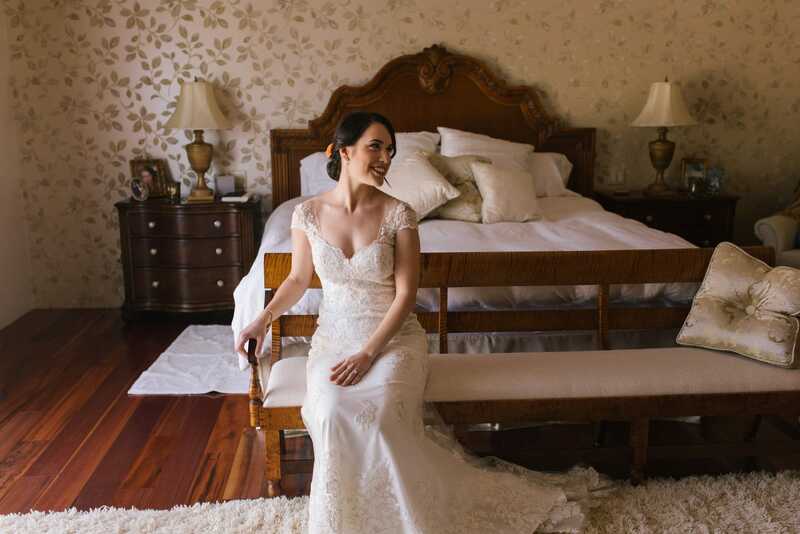 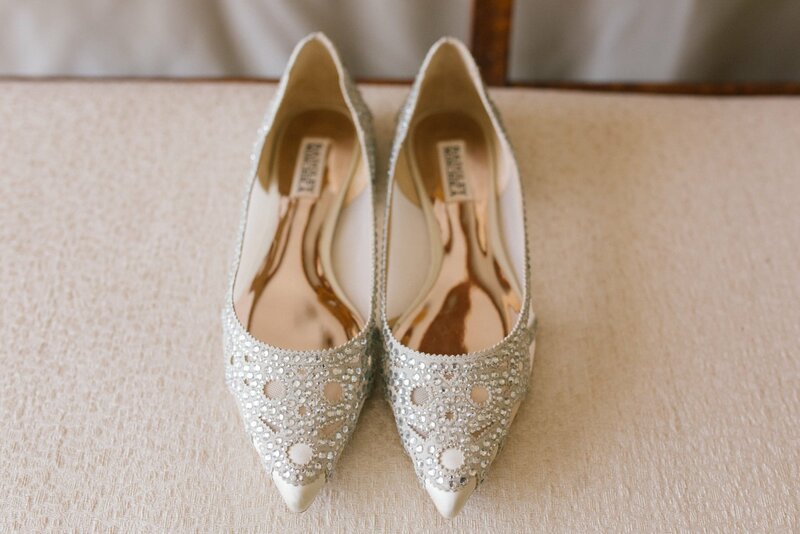 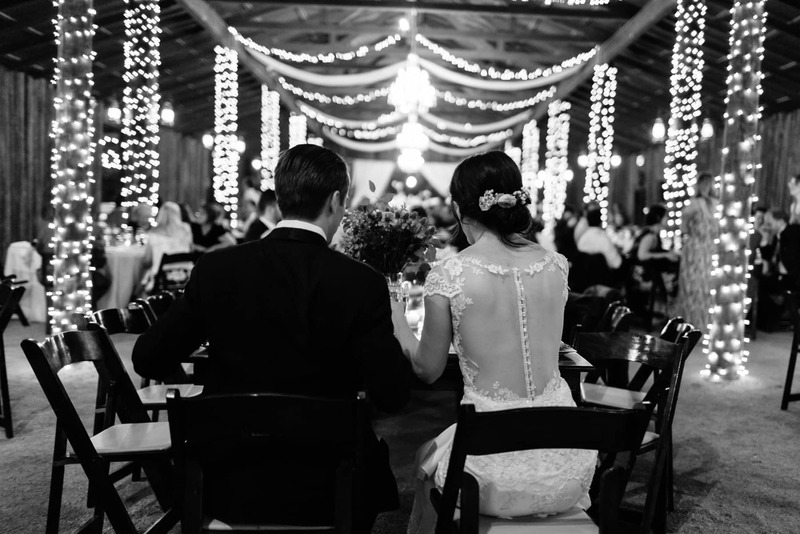 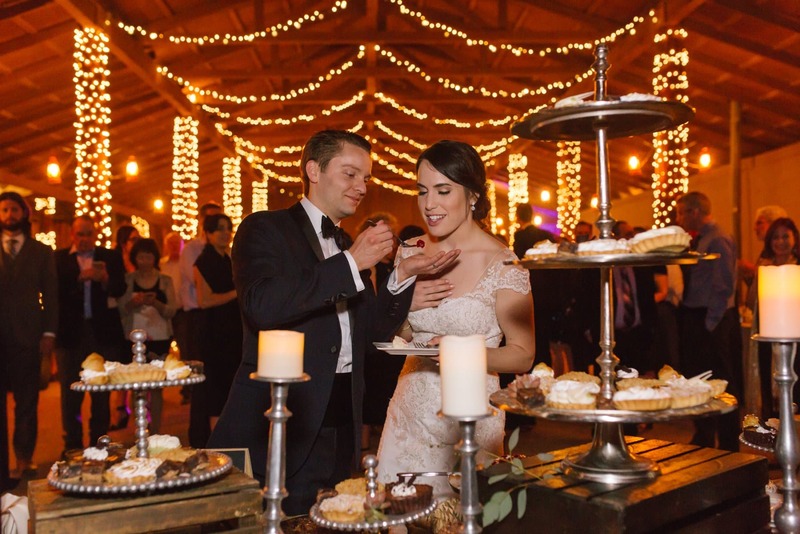 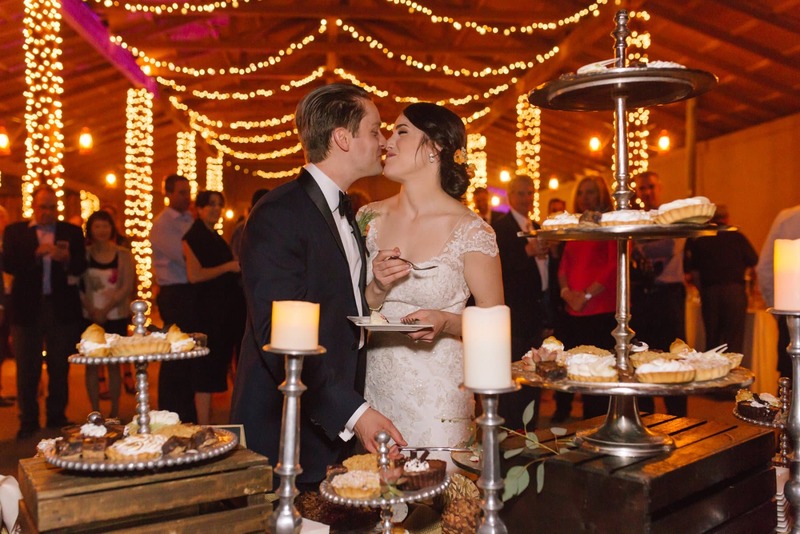 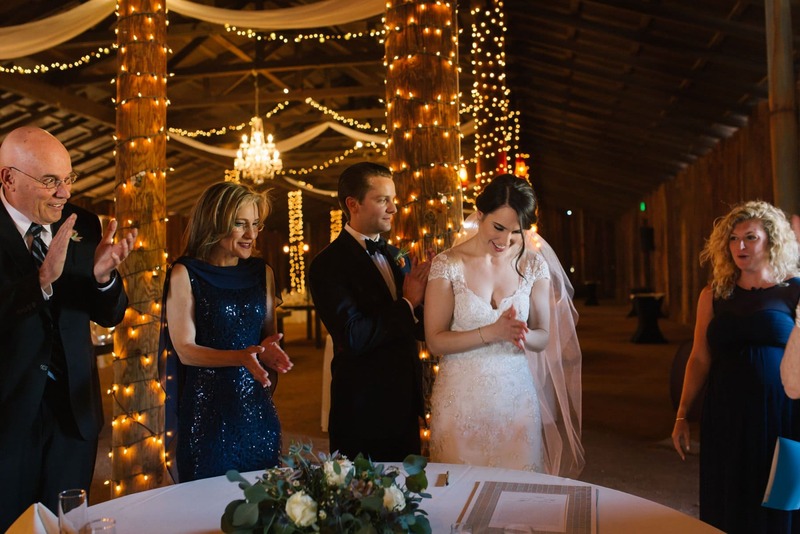 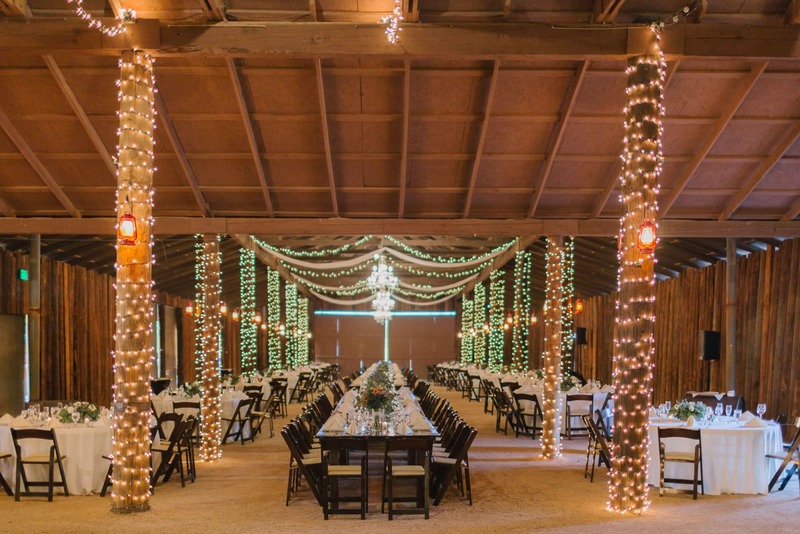 Their details were stunning- elegant with metal table numbers, tuxes and gorgeous dresses, beautiful wood chairs and big wood farm tables yet down to earth and the dirt floor of the barn really made things feel homey and intimate. 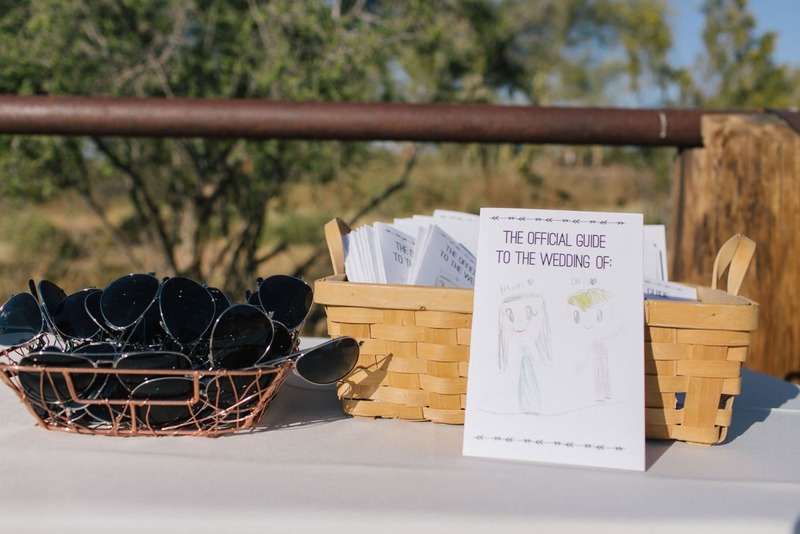 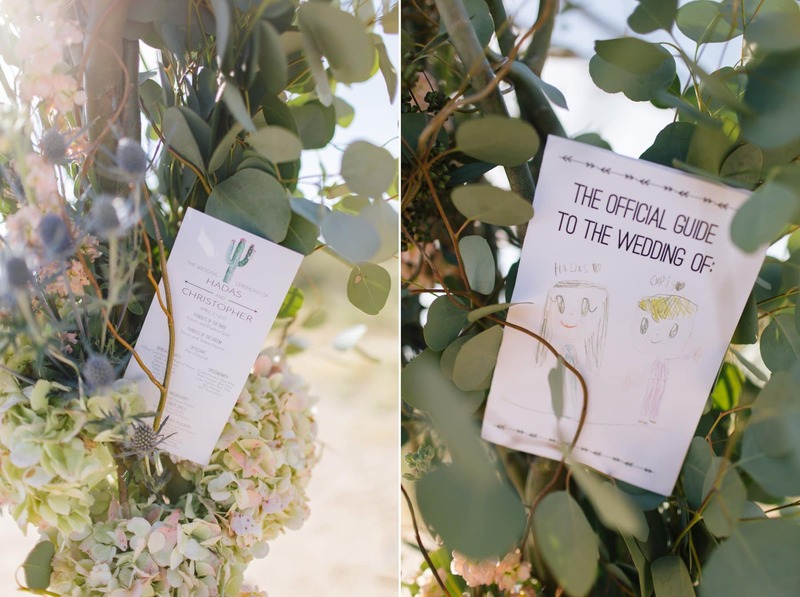 Their wedding programs featured a drawing done by the flower girl & ring bearer which was an adorable touch. 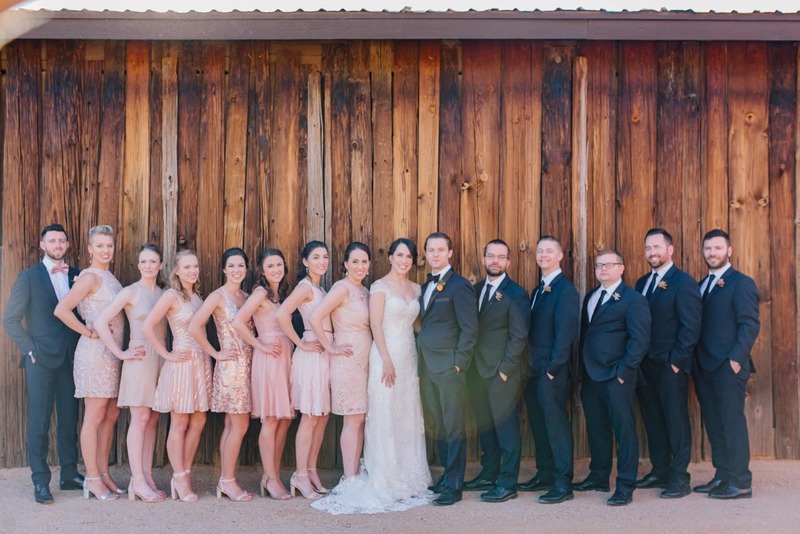 I loved how Hadas’s bridesmaids wore perfectly mismatching pink dresses (and her bridesman rocked his pink tie to coordinate with them!) 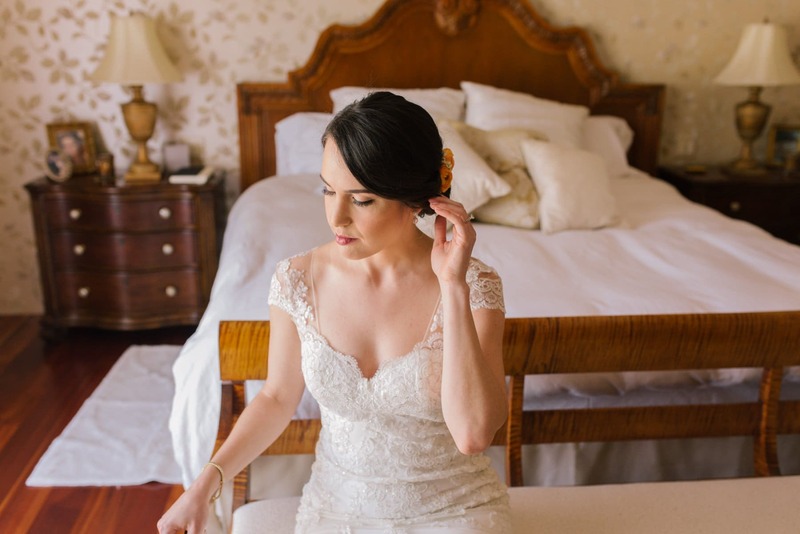 and Hadas’s flowers in her hair looked stunning. 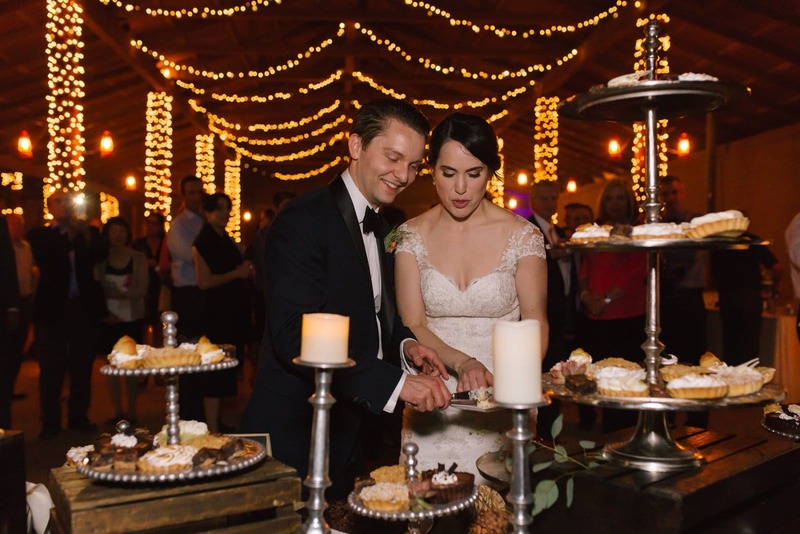 Instead of wedding cake, they had cherry pie (their favorite!) 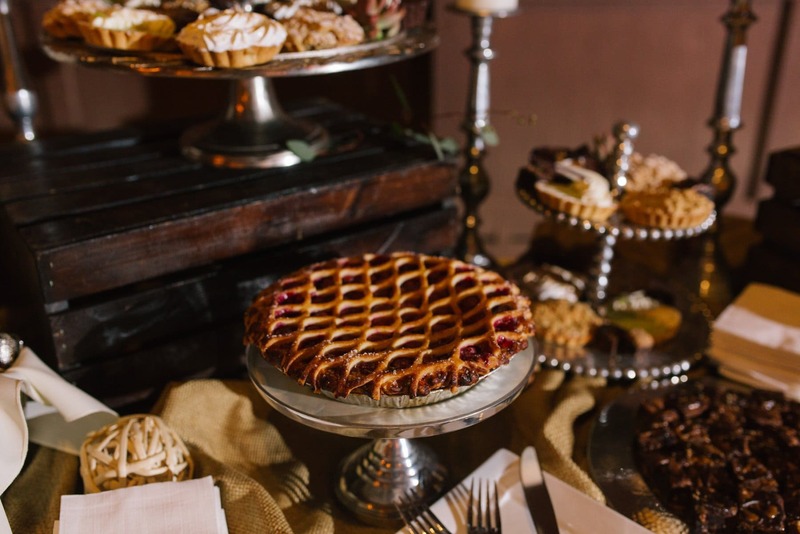 and a plethora of other amazing desserts. 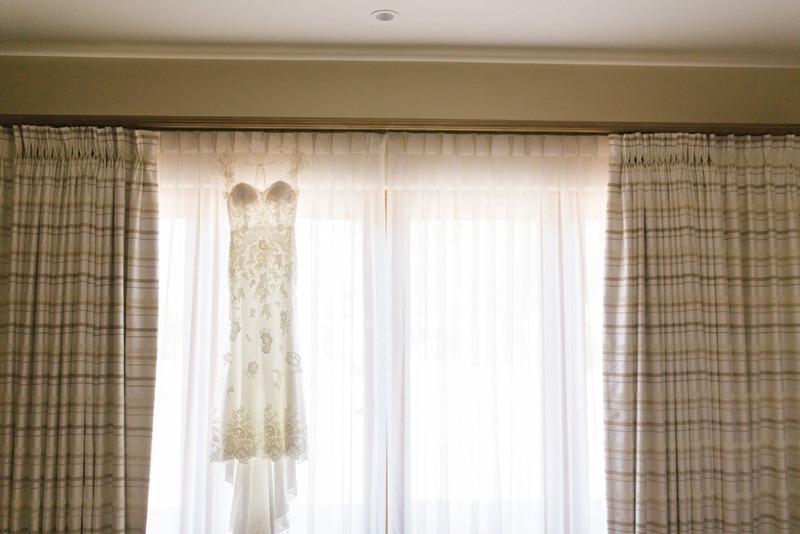 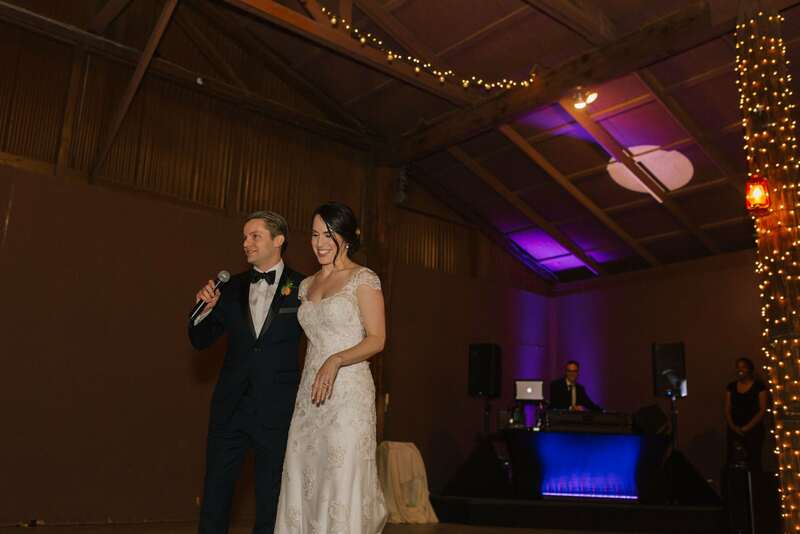 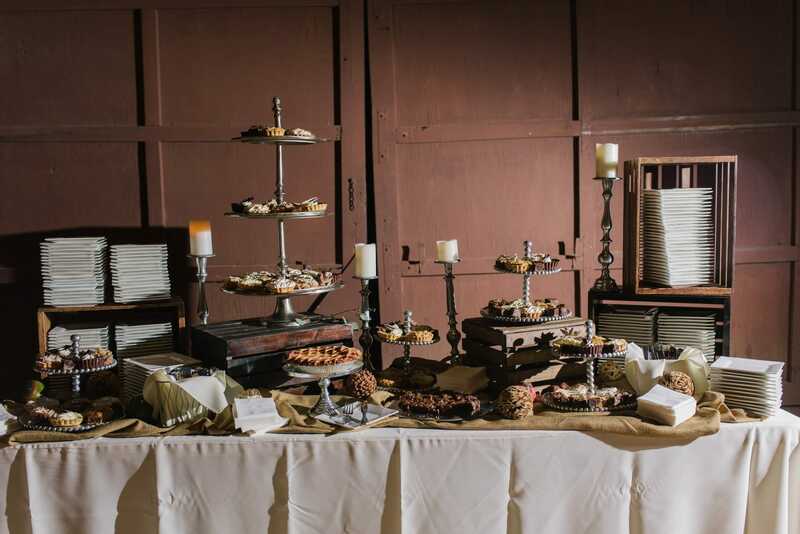 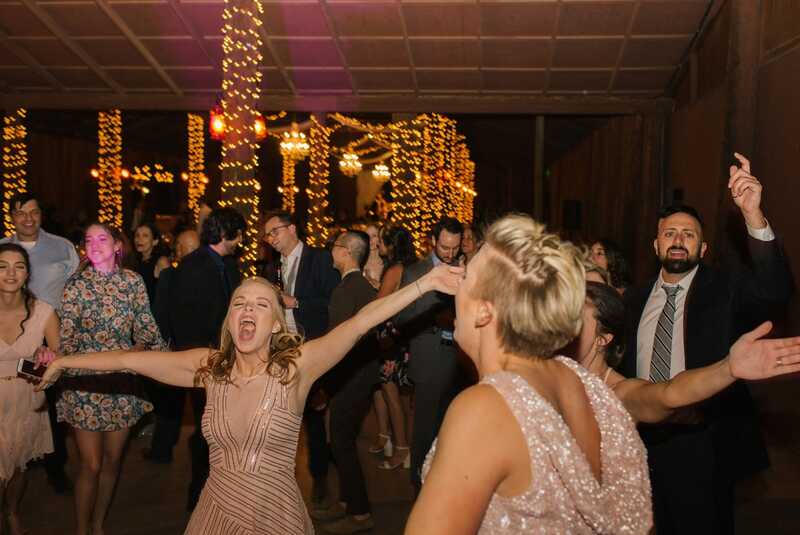 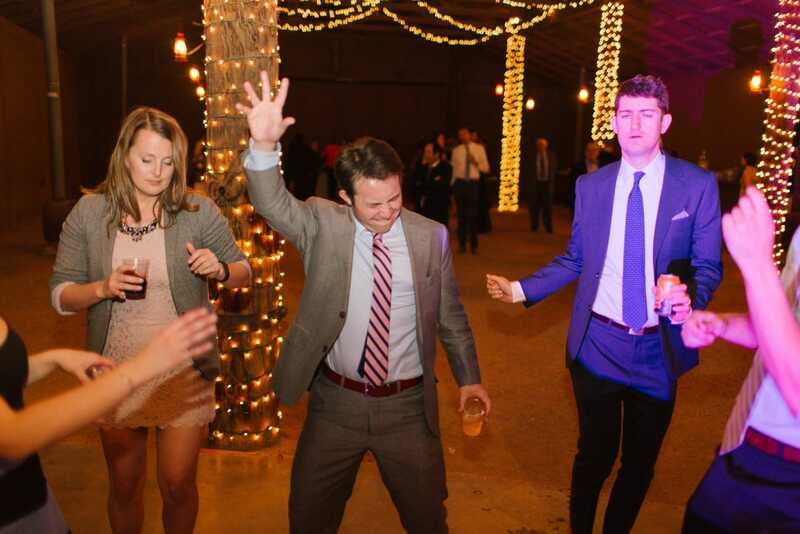 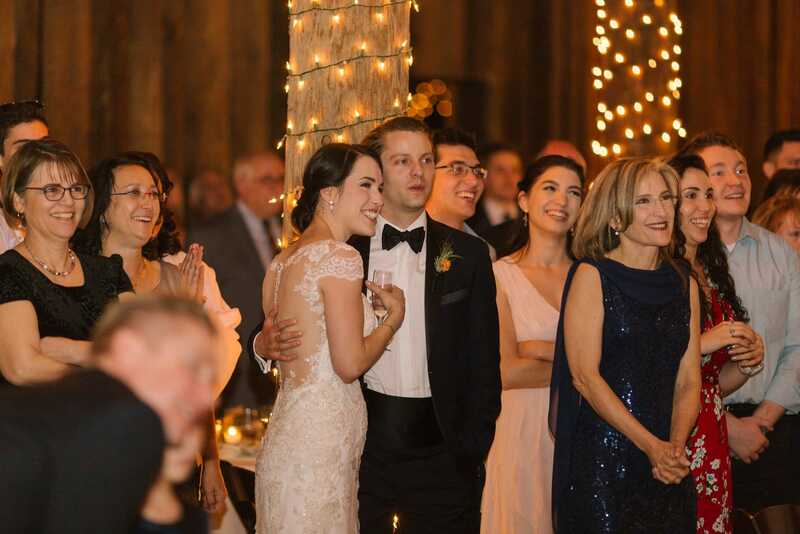 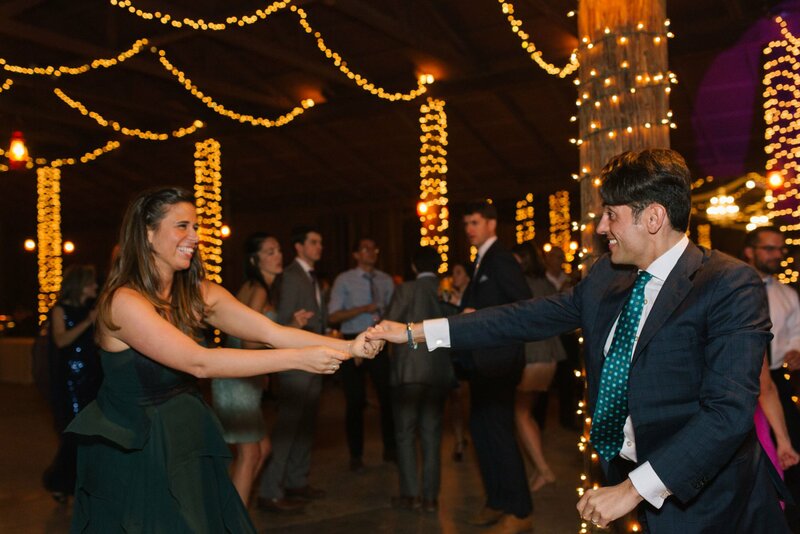 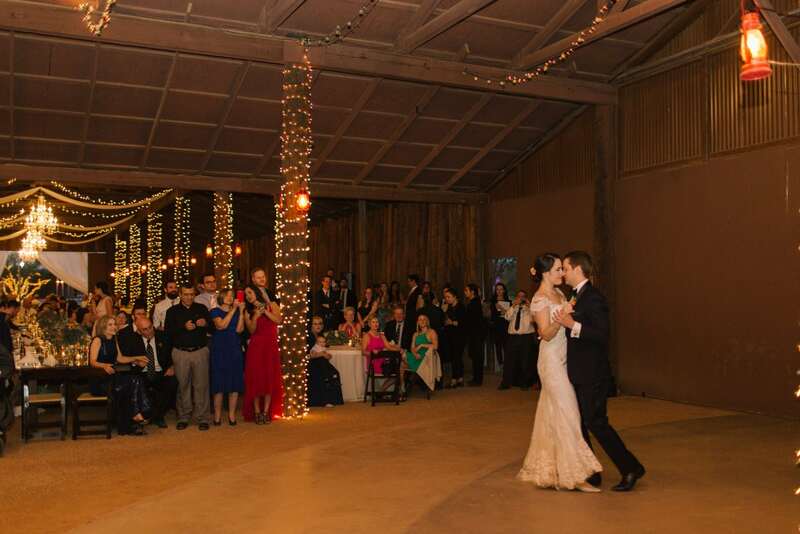 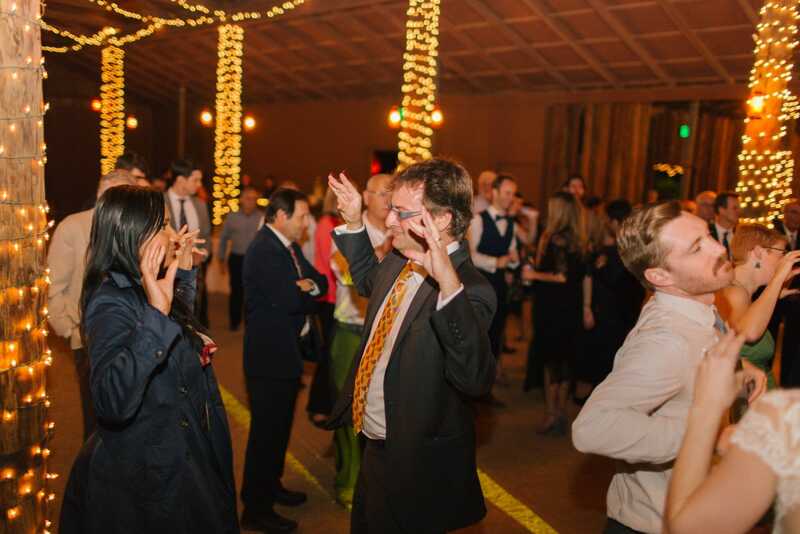 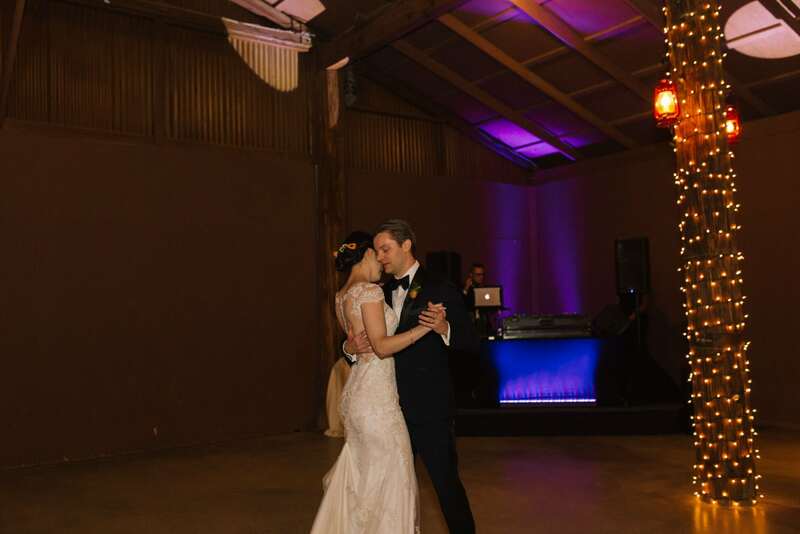 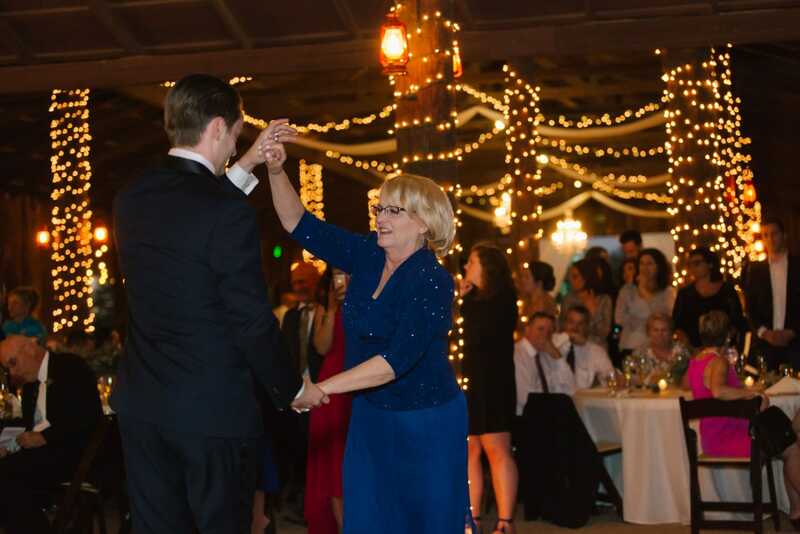 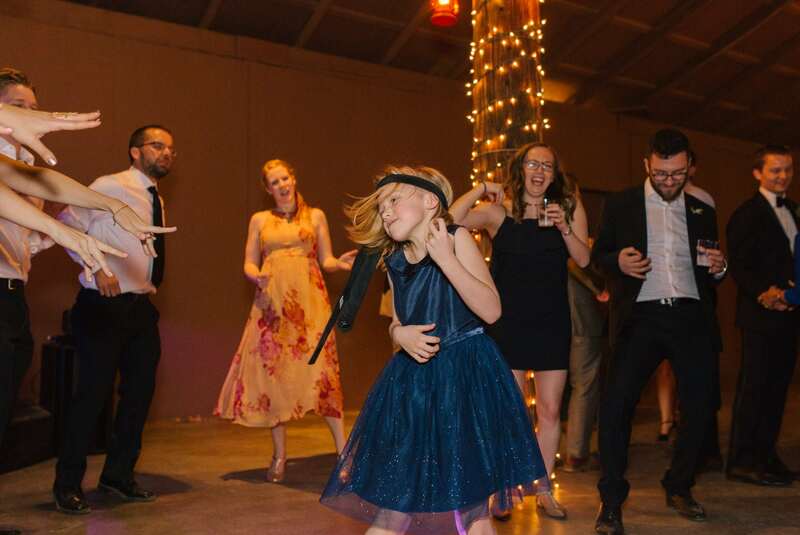 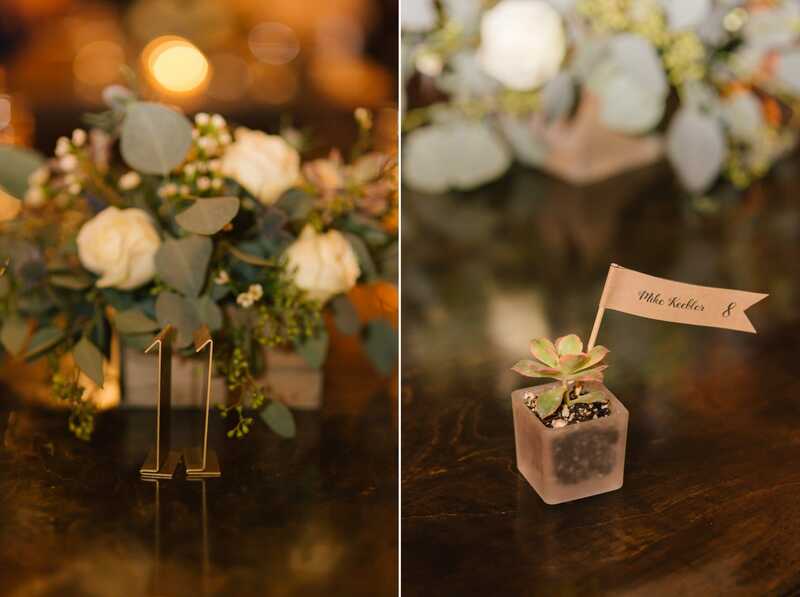 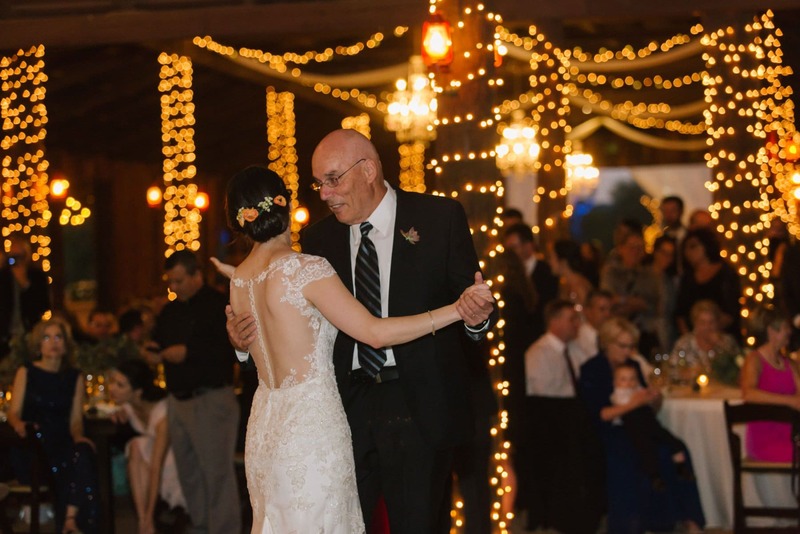 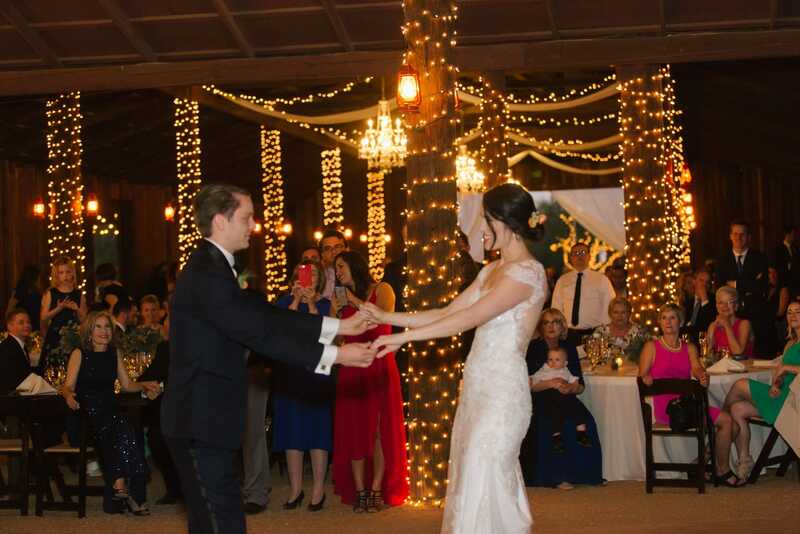 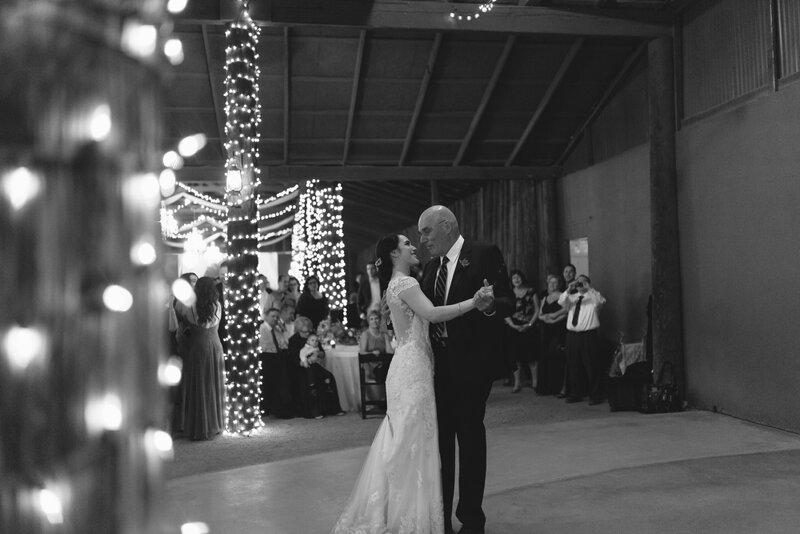 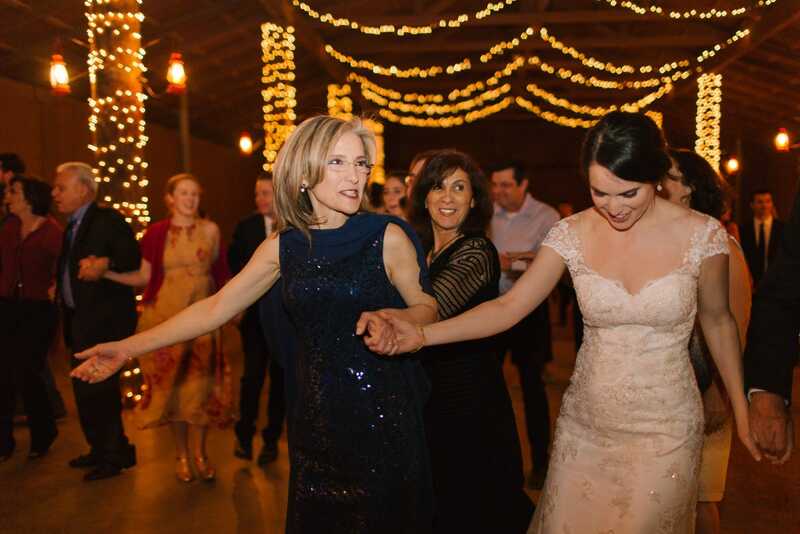 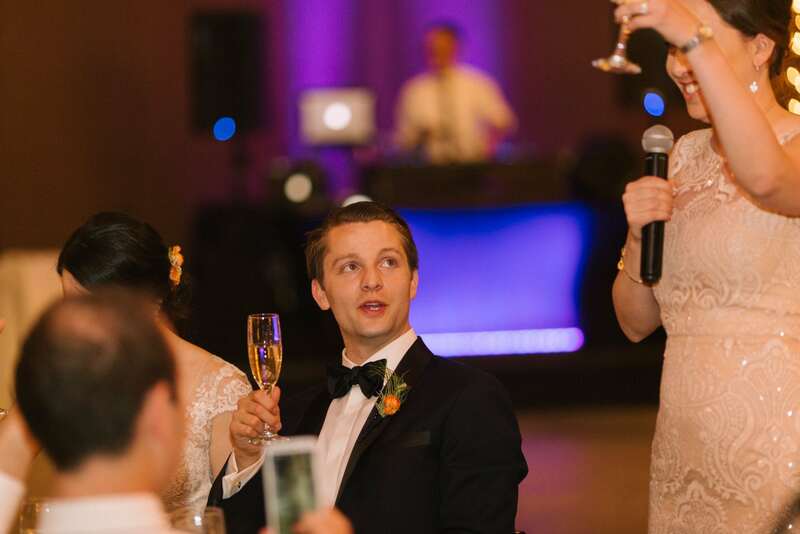 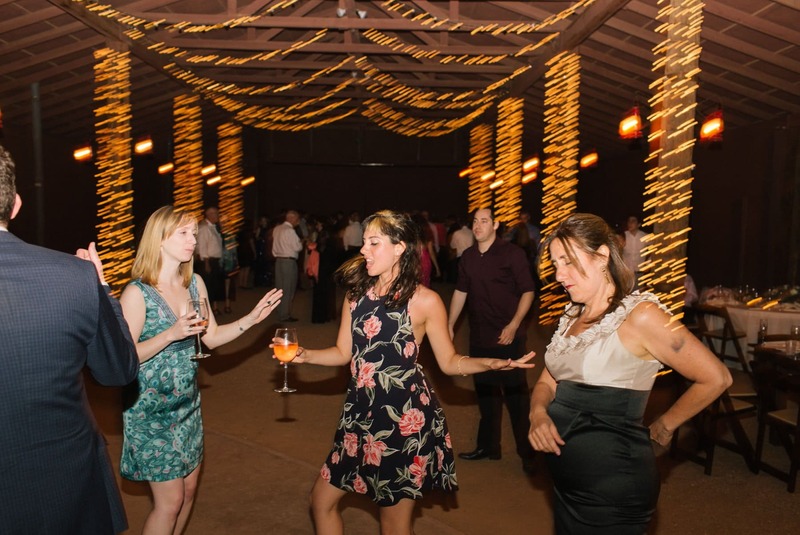 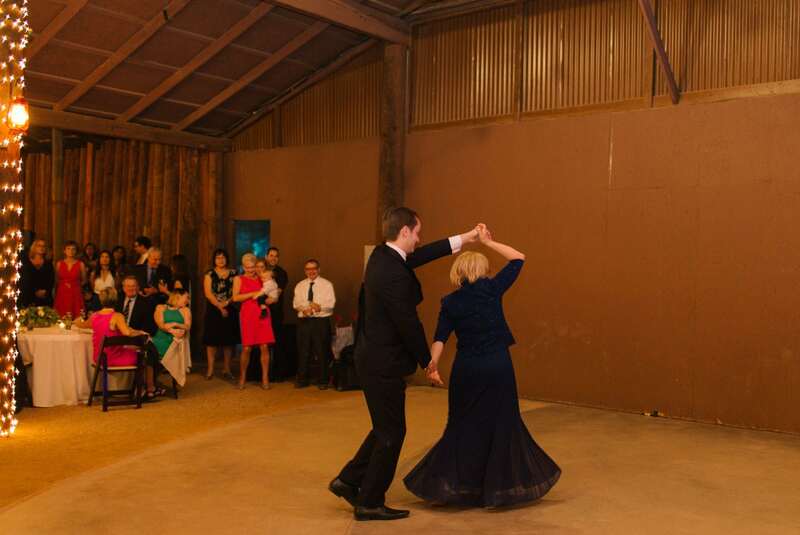 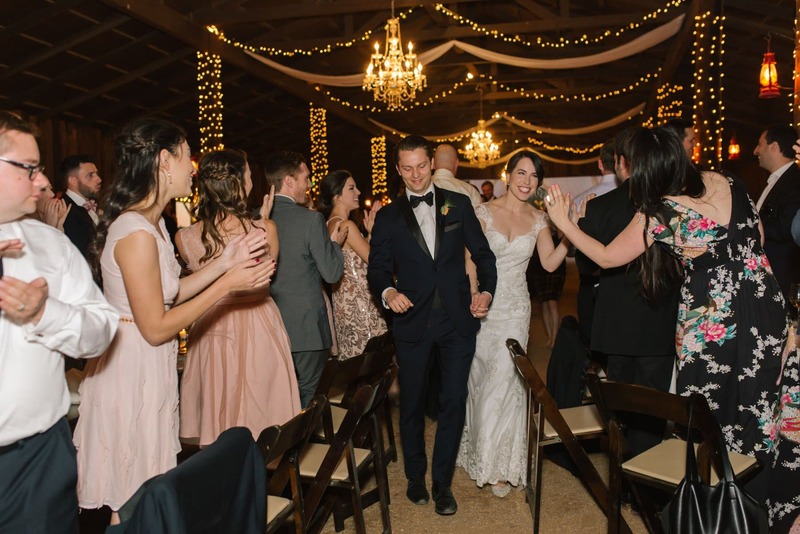 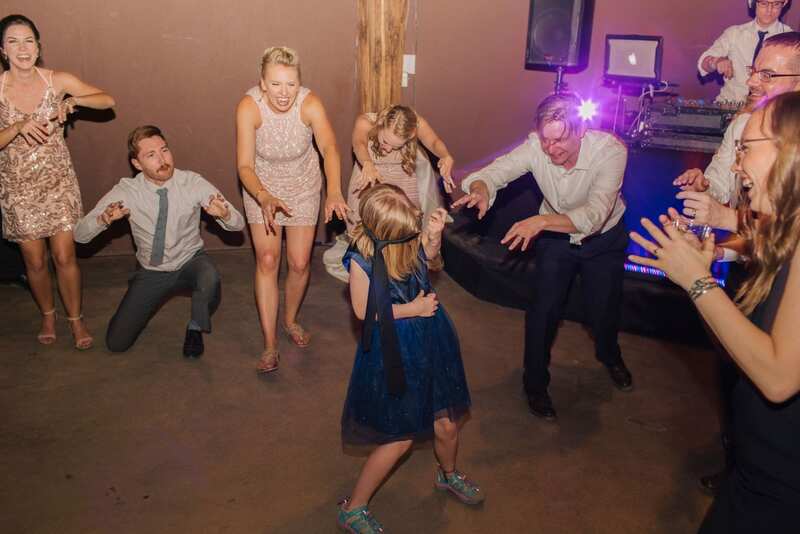 It was the perfect blend of rustic and elegant and of course everyone tore up the dance floor! 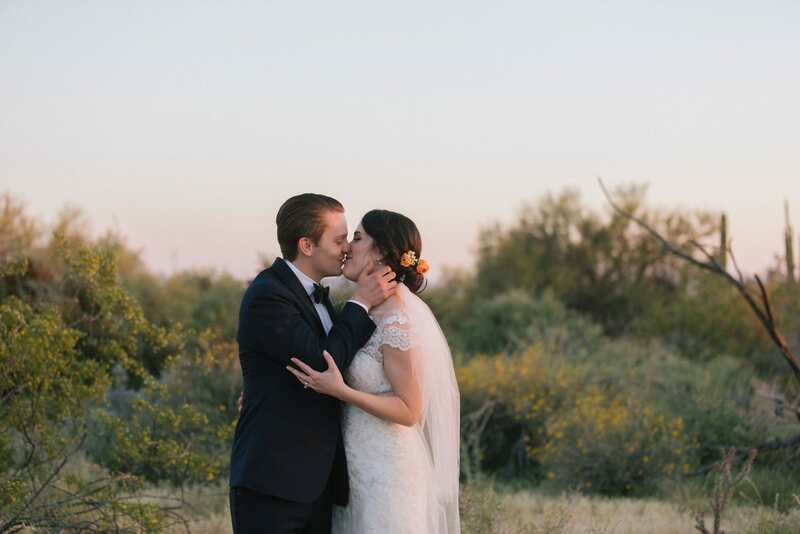 Thank you so much for trusting me with your day. 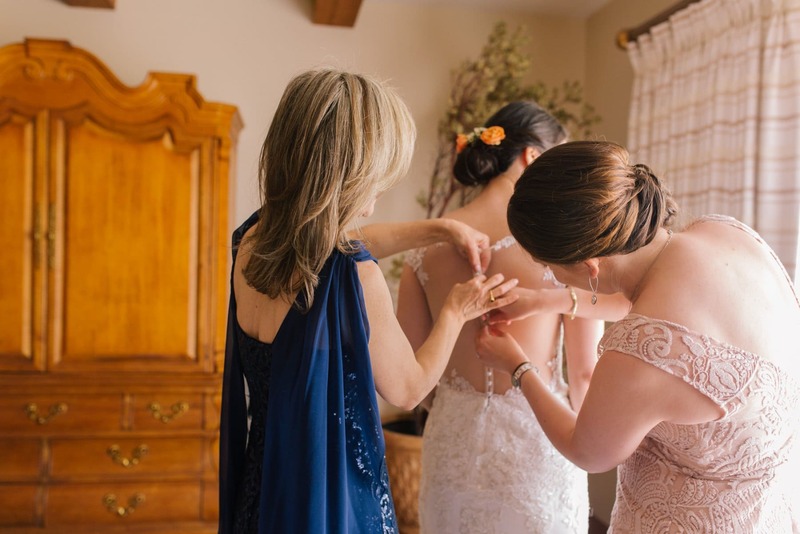 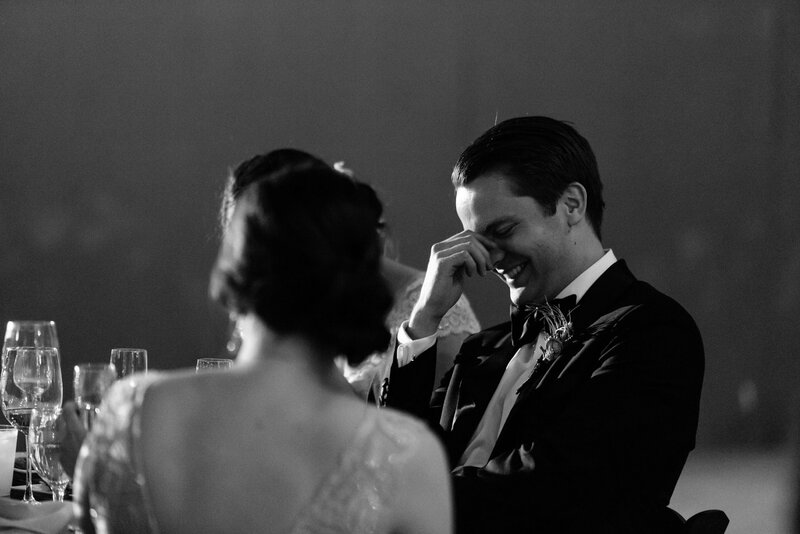 I take my job very seriously- documenting your wedding day and all of the wonderful moments that can never be repeated is an important job- it’s rare to get so many people you love together in one place at one time. 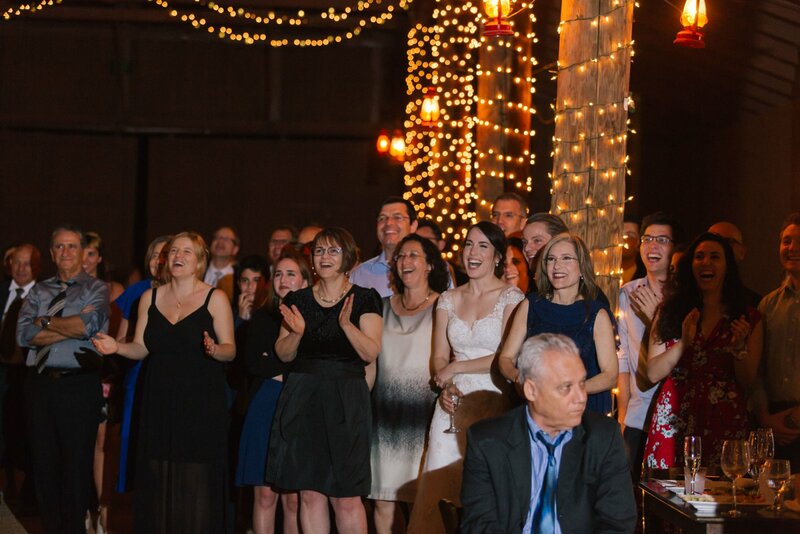 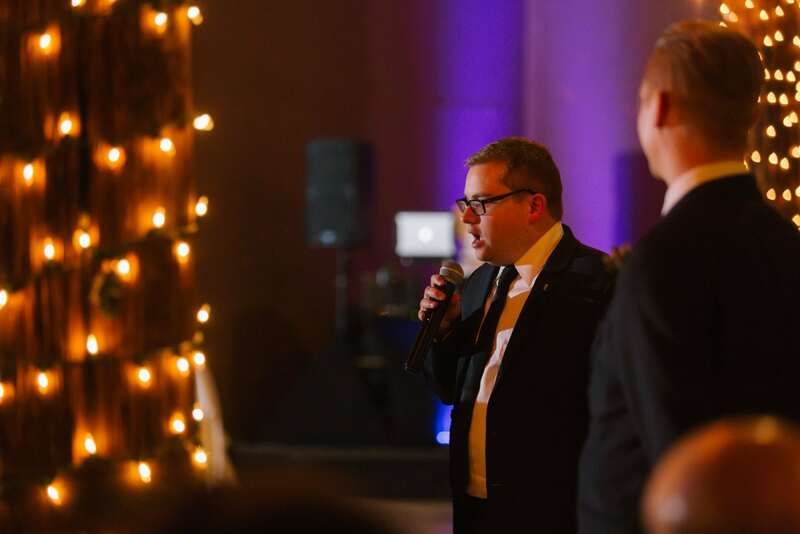 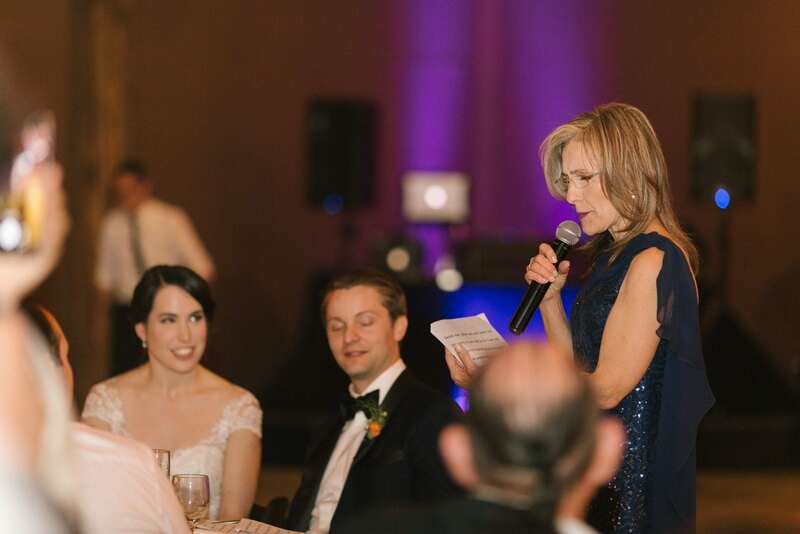 But every wedding I’m so grateful to be able to do this for a living and give people something of great meaning that will only increase in value over time as families grow and change, people pass away and life moves forward.